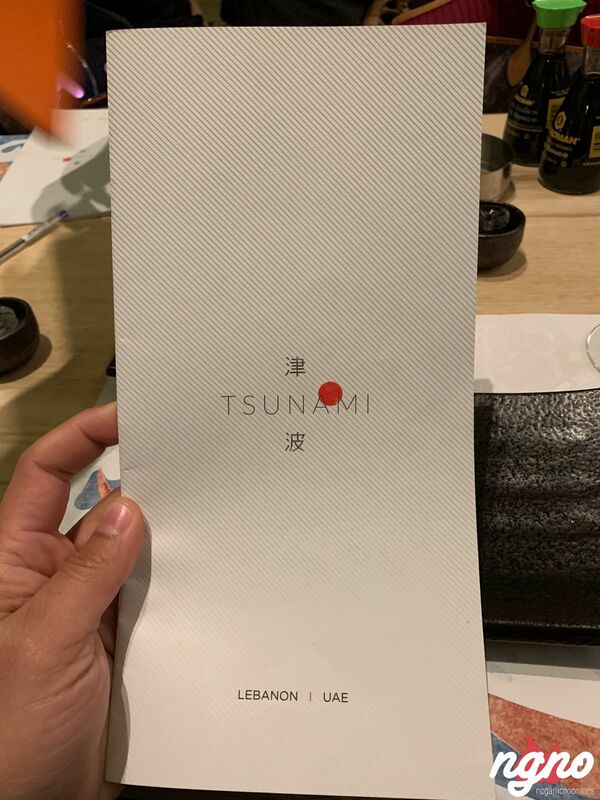 I heard that tsunami has moved to a new location in Antelias, but I never imagined it would be such a marvel. 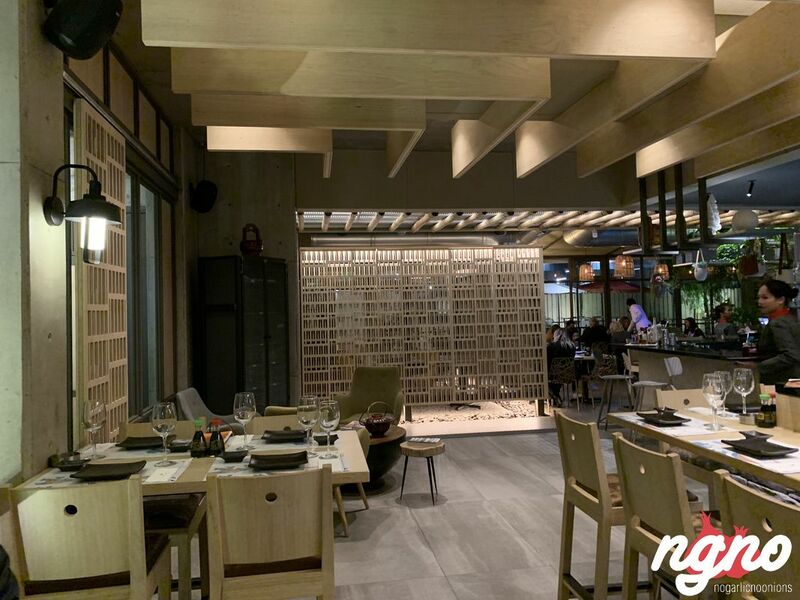 Welcome to Tsunami Antelias, a wide restaurant created to amaze. 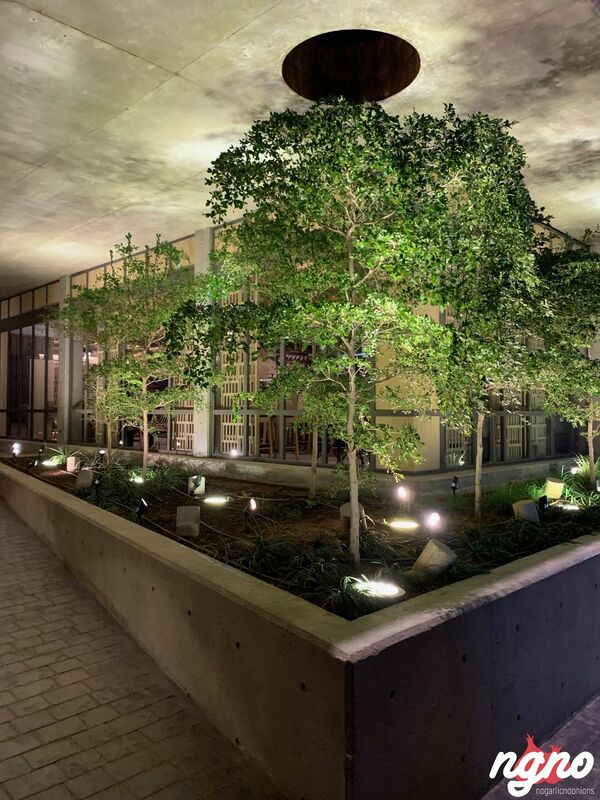 Arrive in front of a design building where concrete and metal come together. 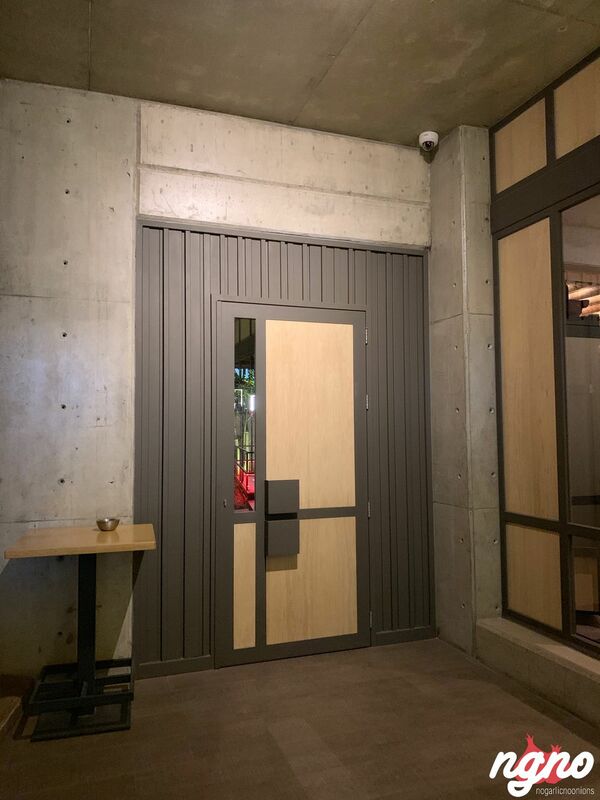 Walk the corridor until a metallic door is opened for you. 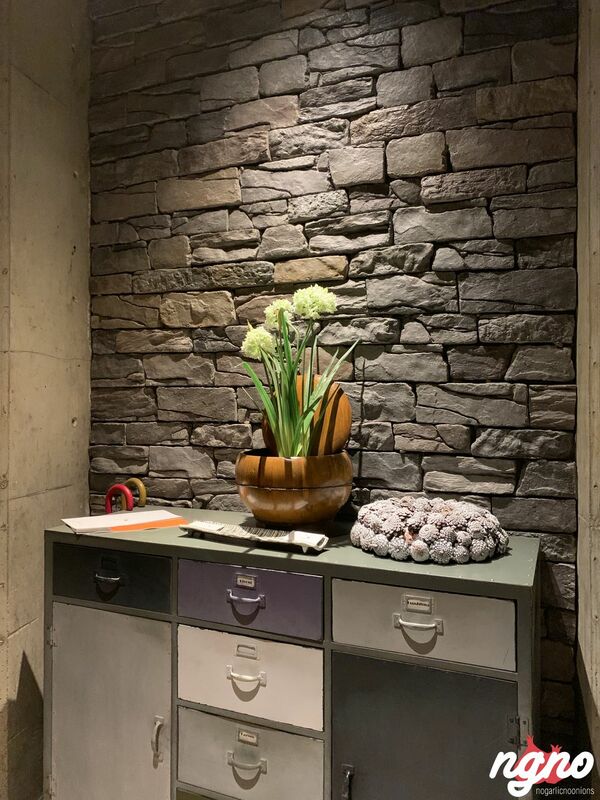 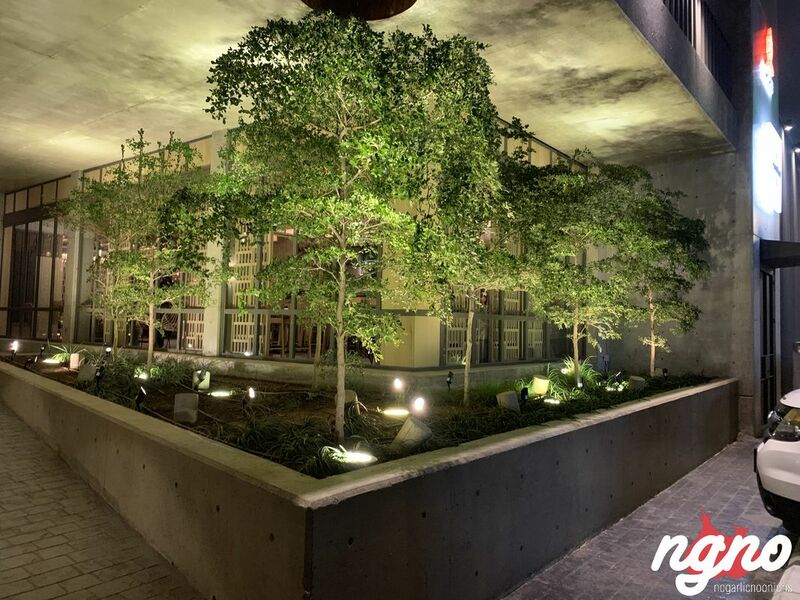 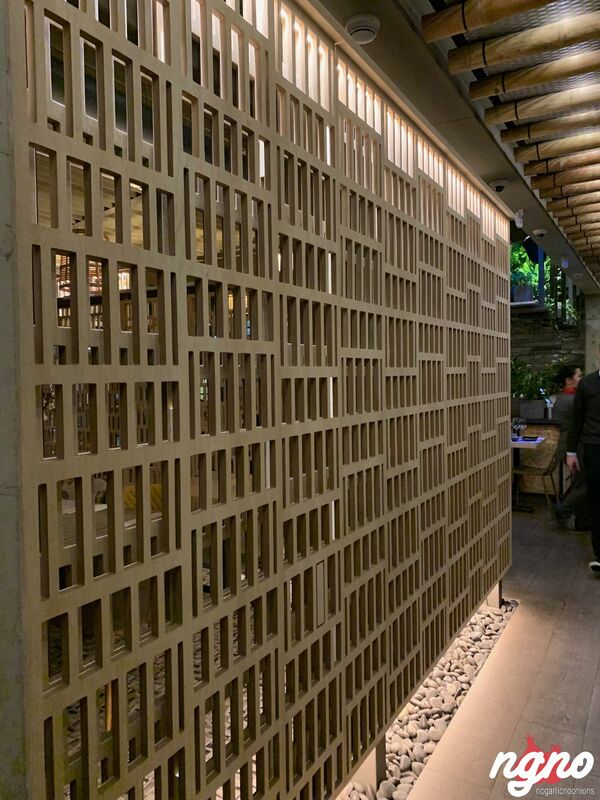 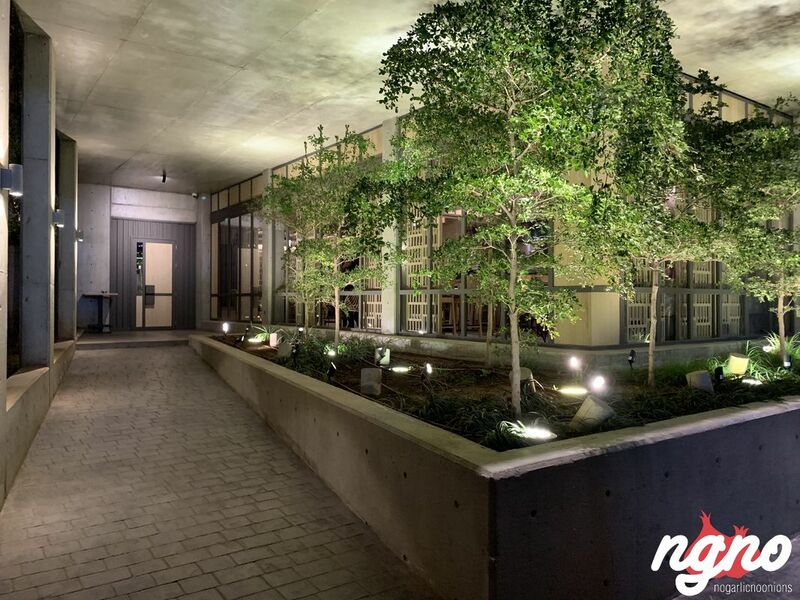 Wood, different levels, a private room, walls made of wood, the sushi bar and a bar for drinks. 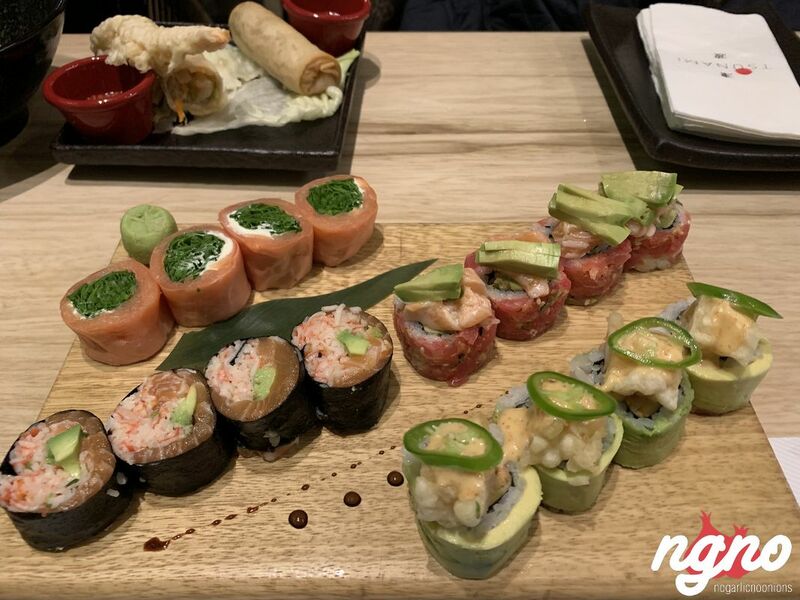 Smoking is not allowed inside, and this is appreciated. 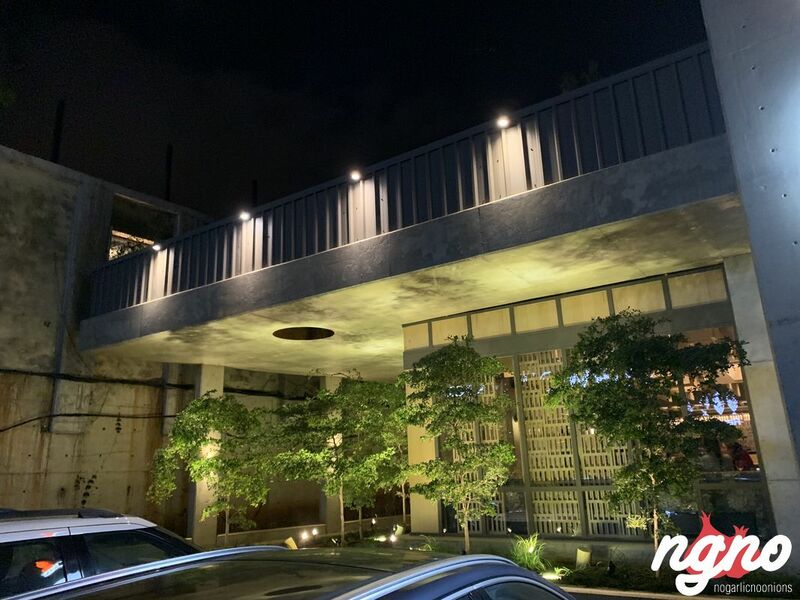 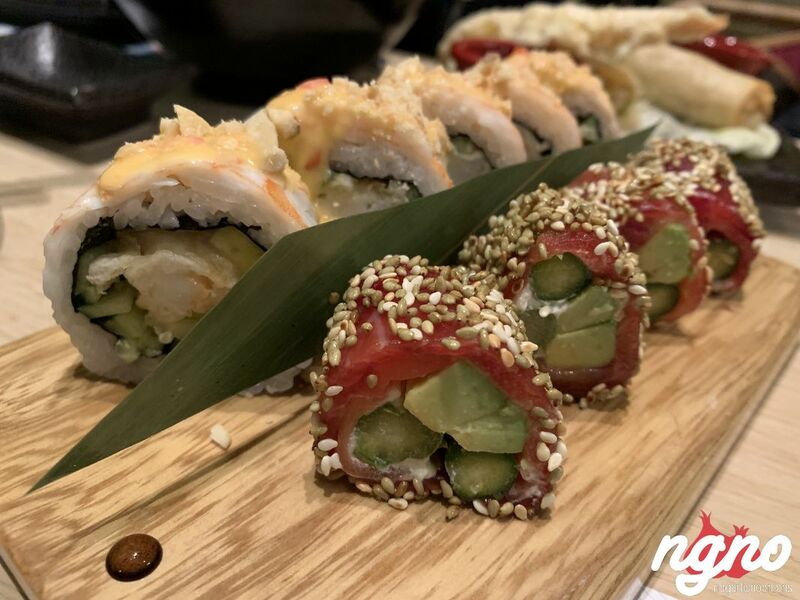 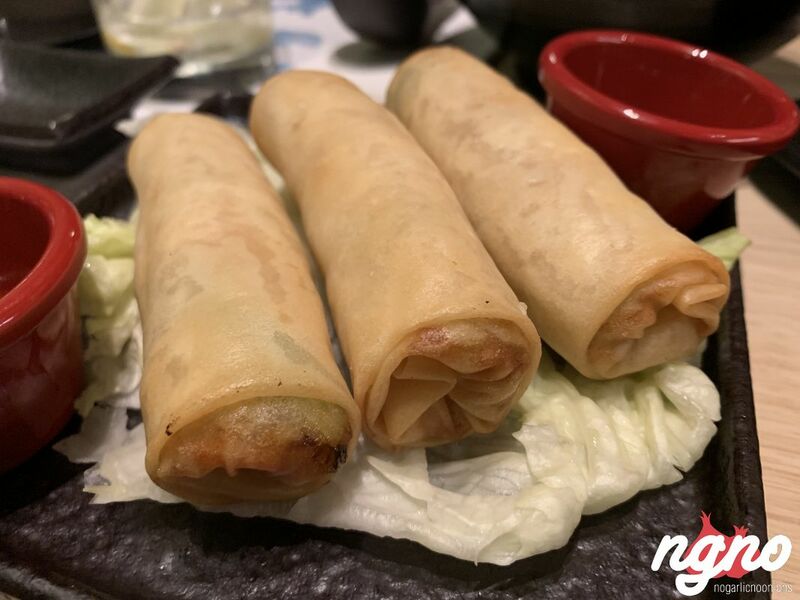 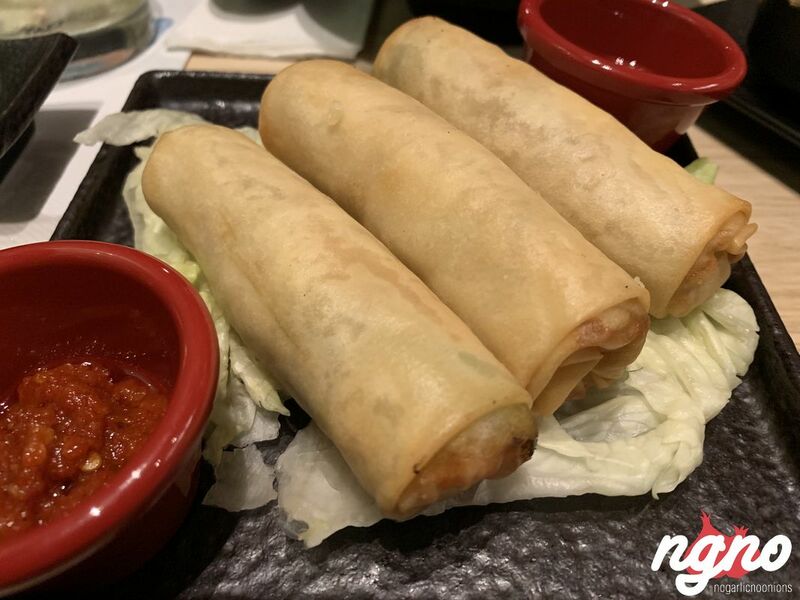 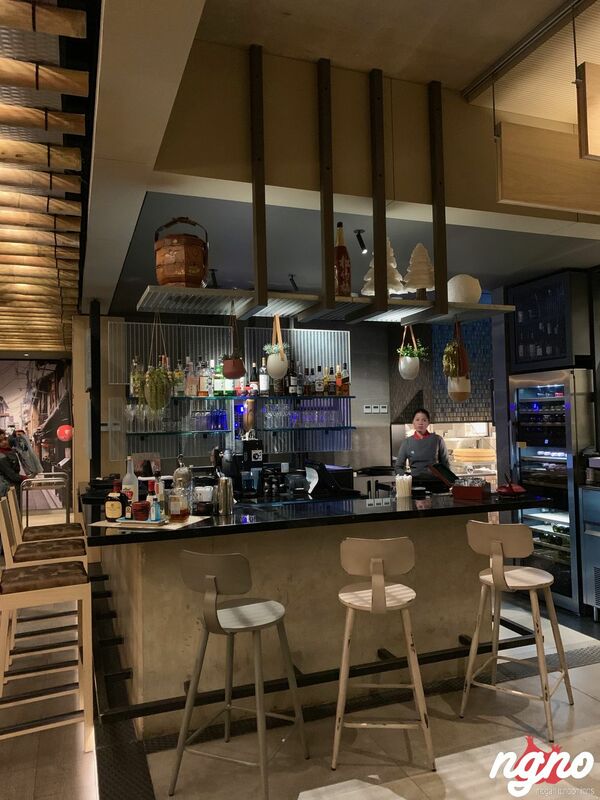 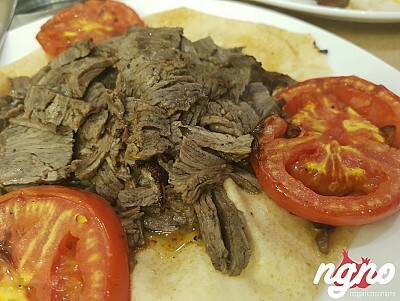 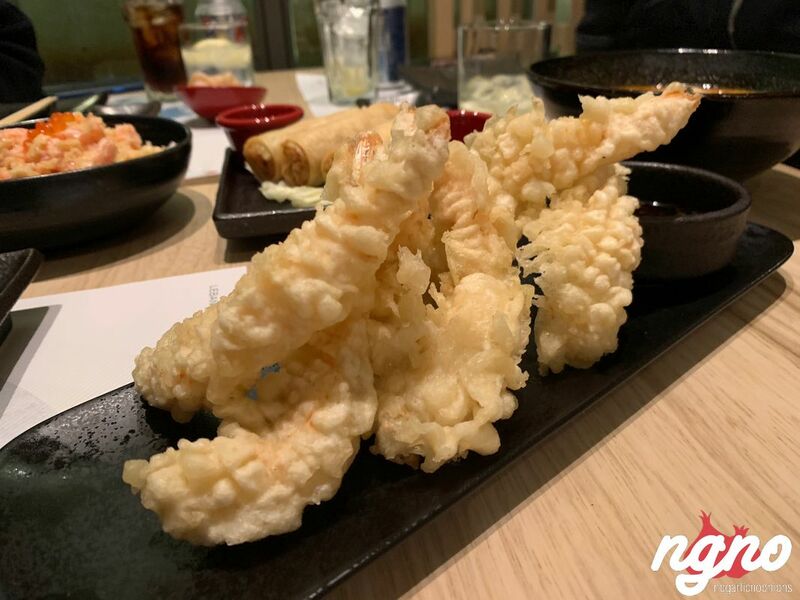 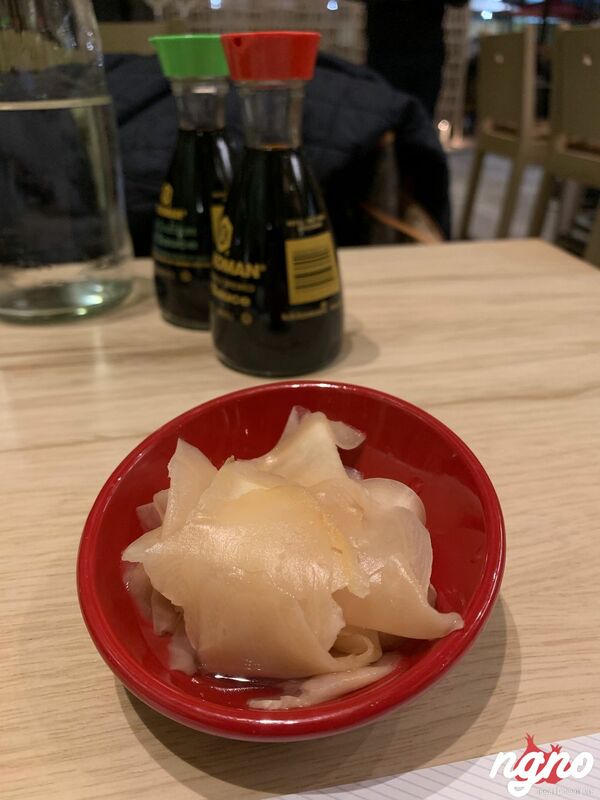 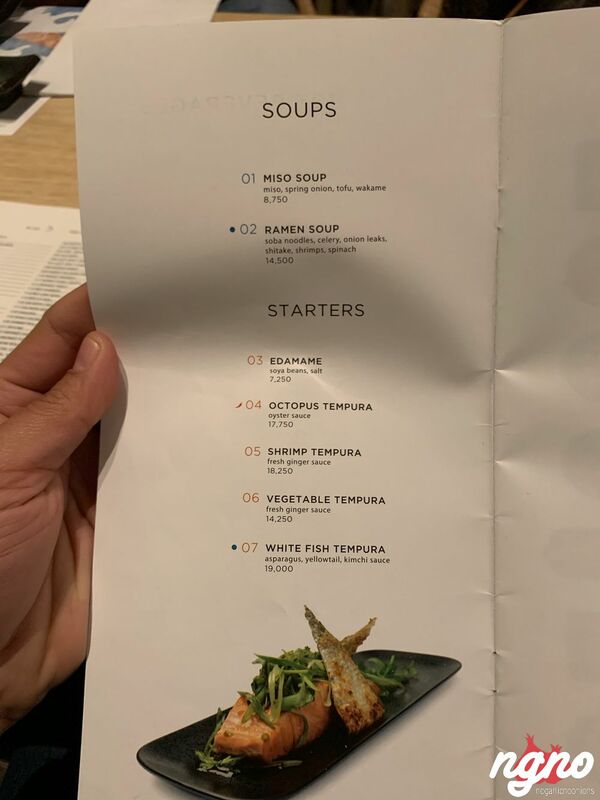 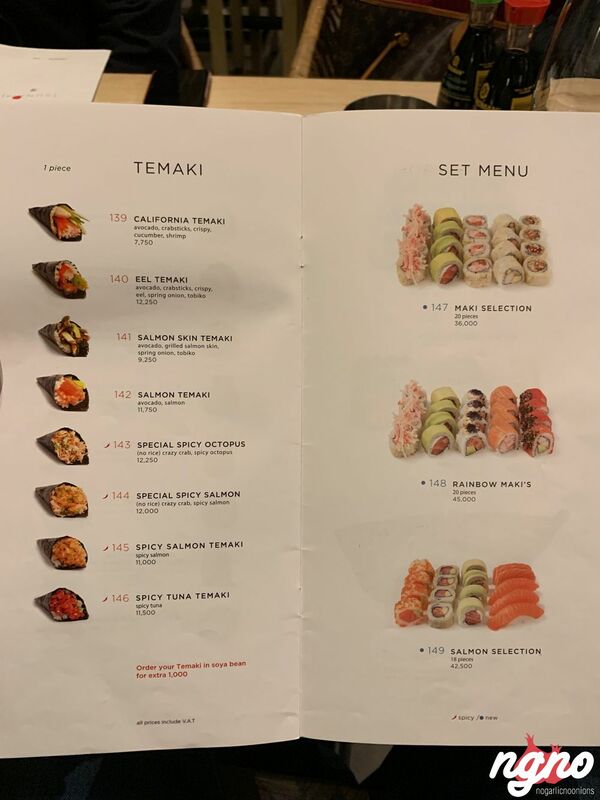 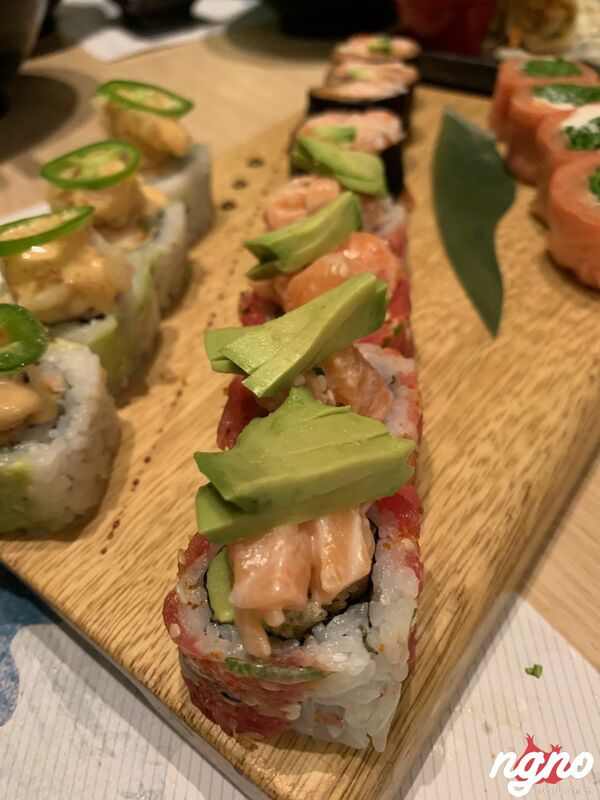 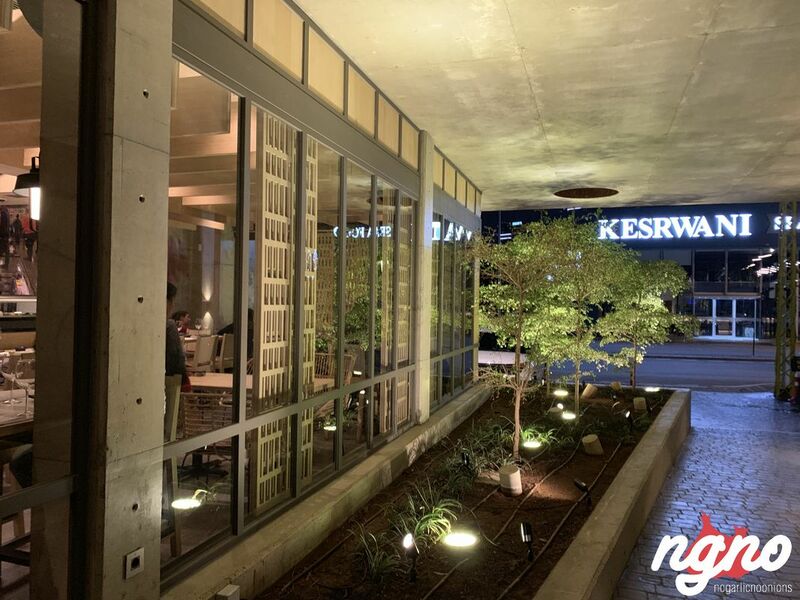 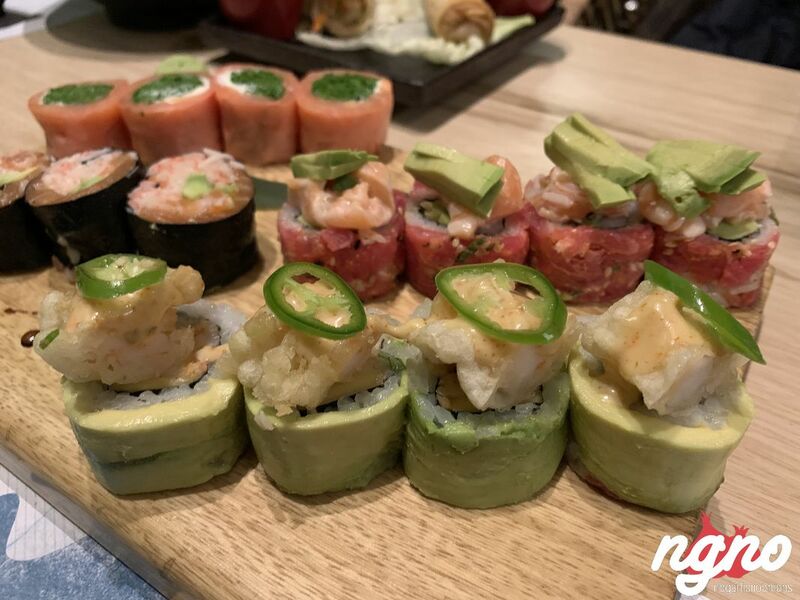 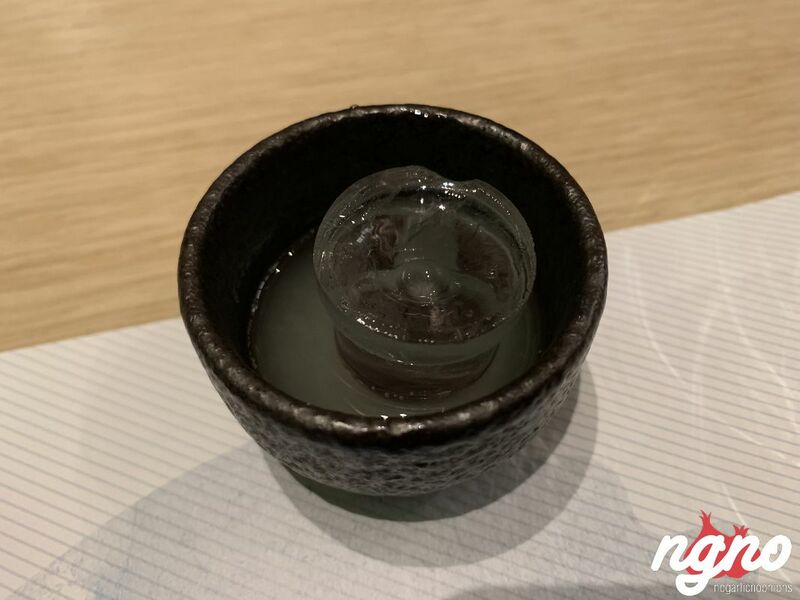 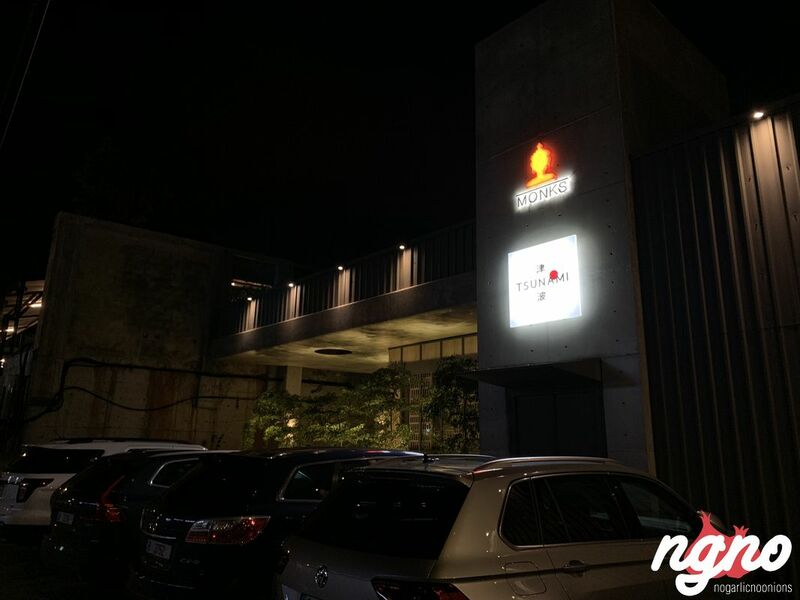 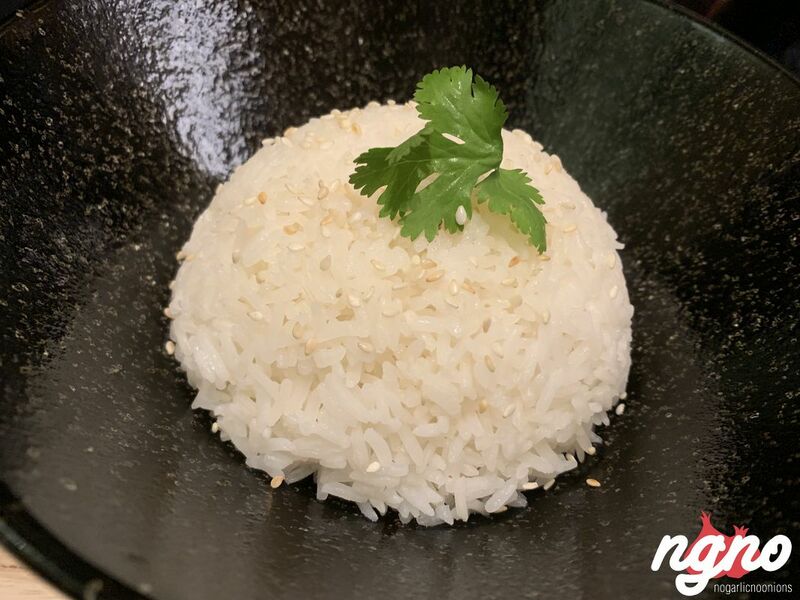 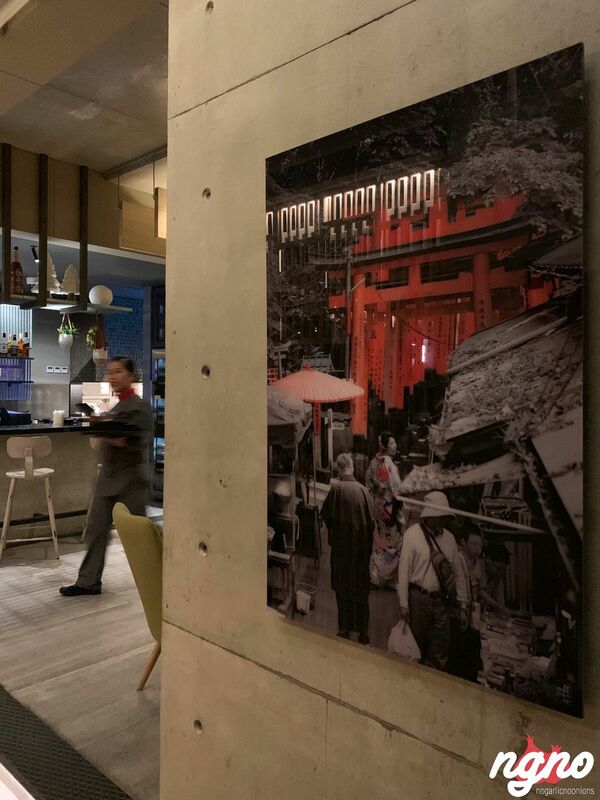 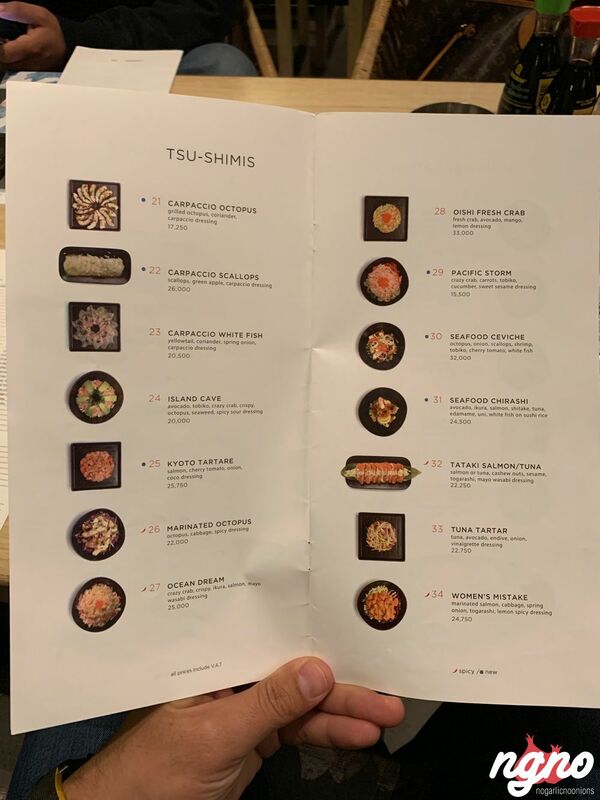 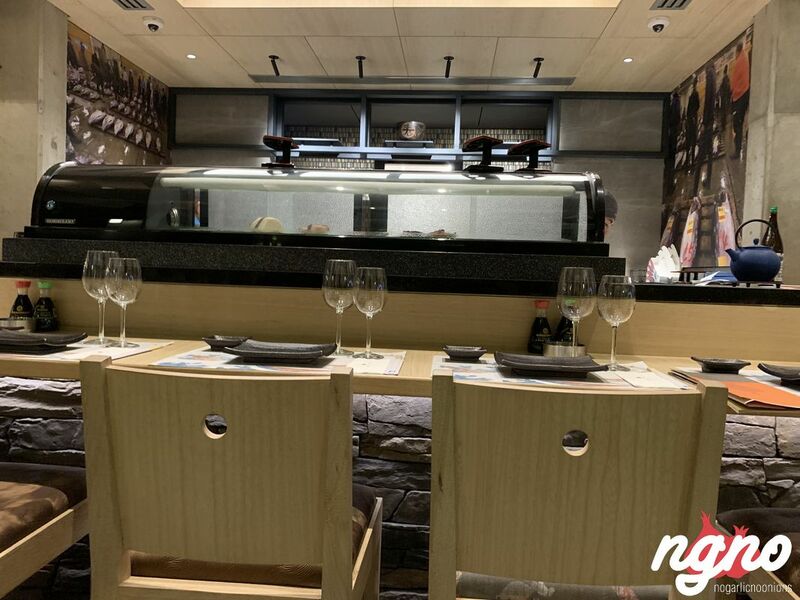 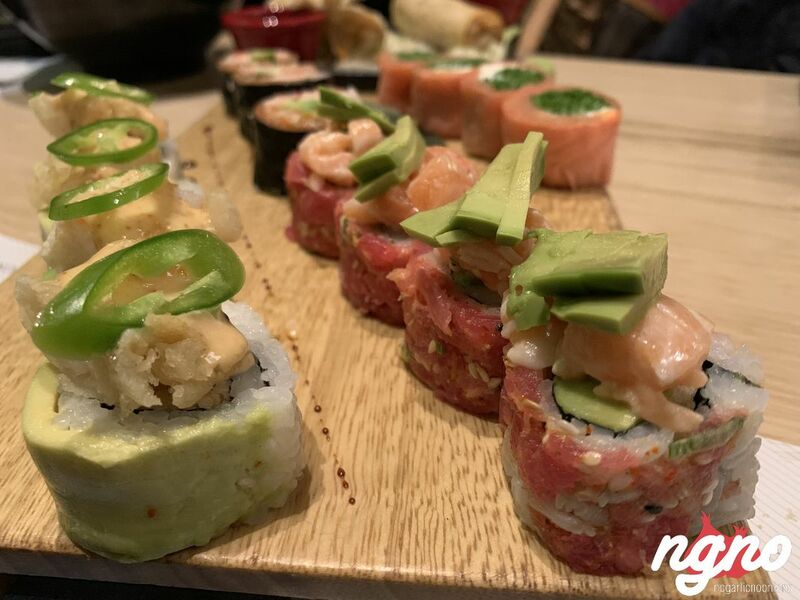 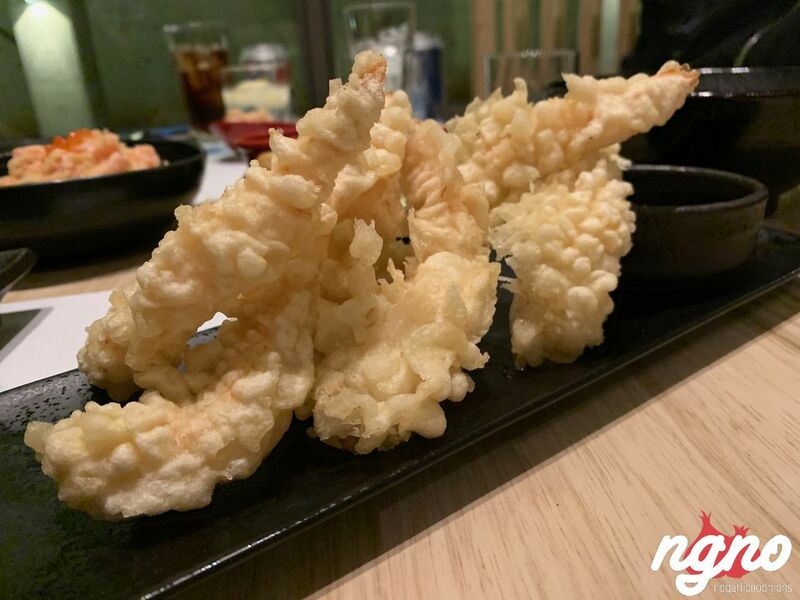 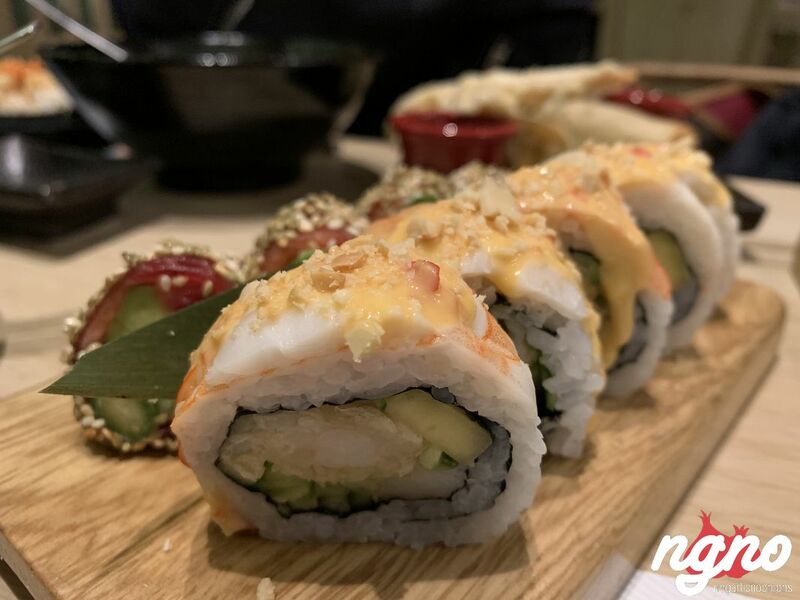 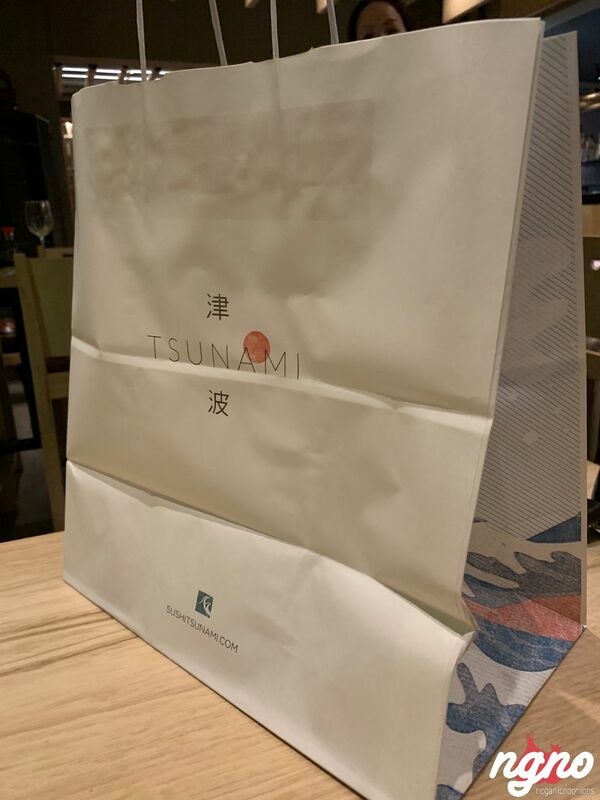 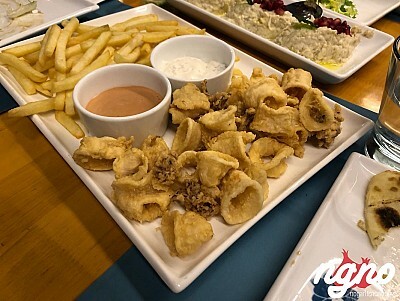 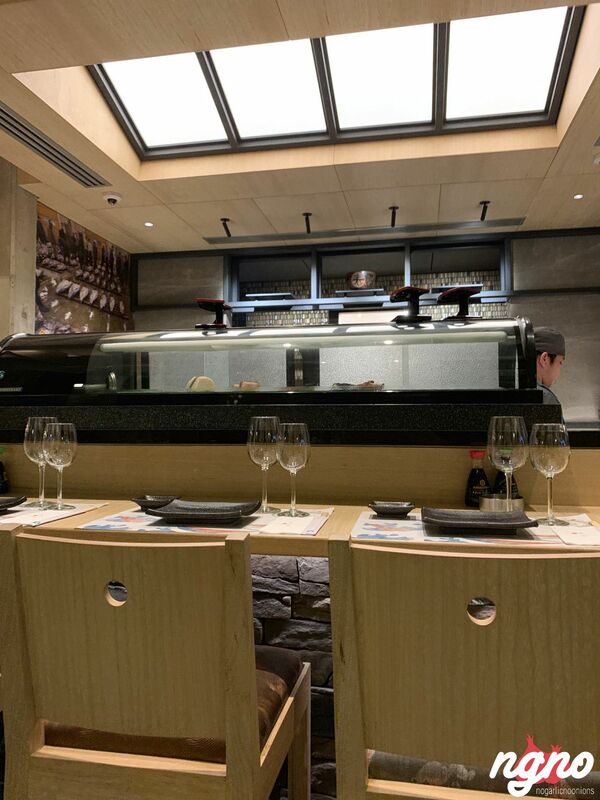 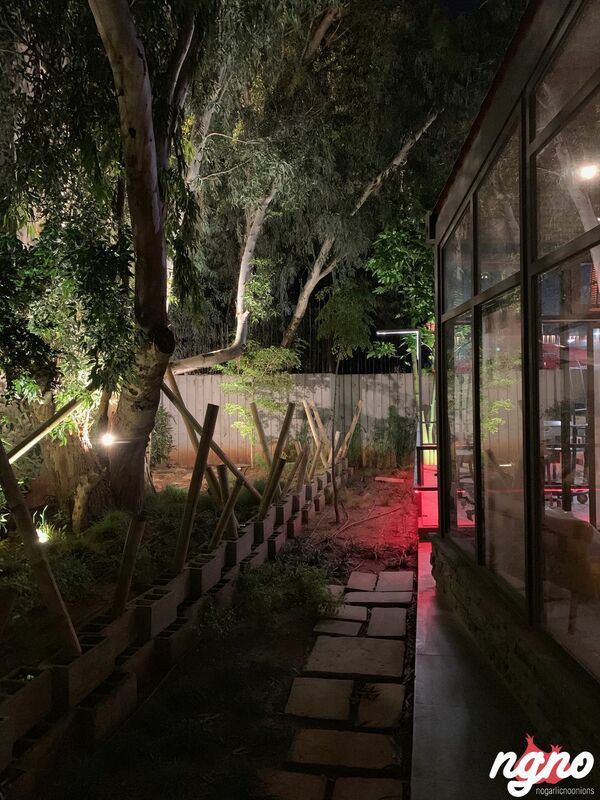 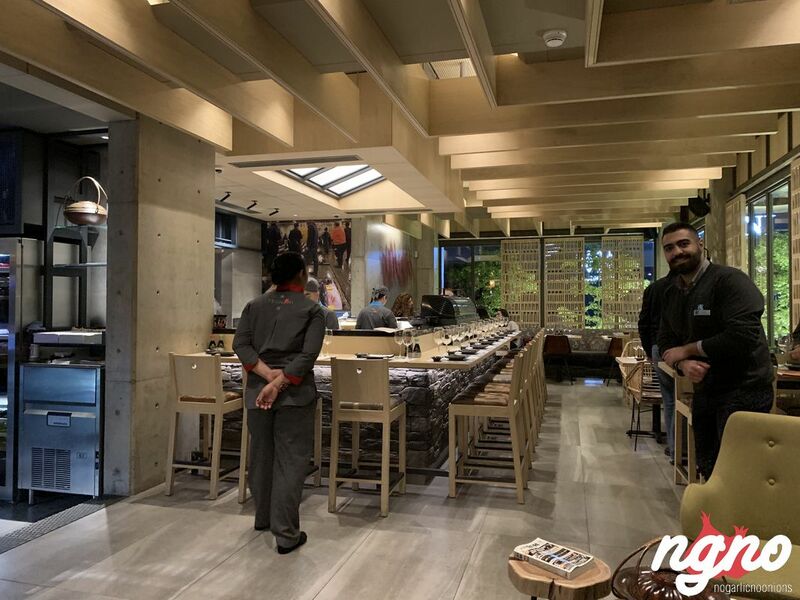 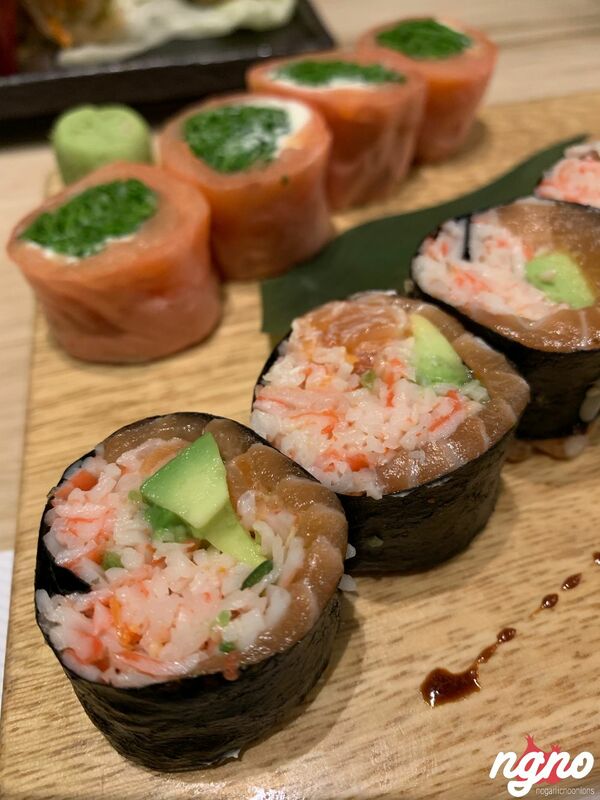 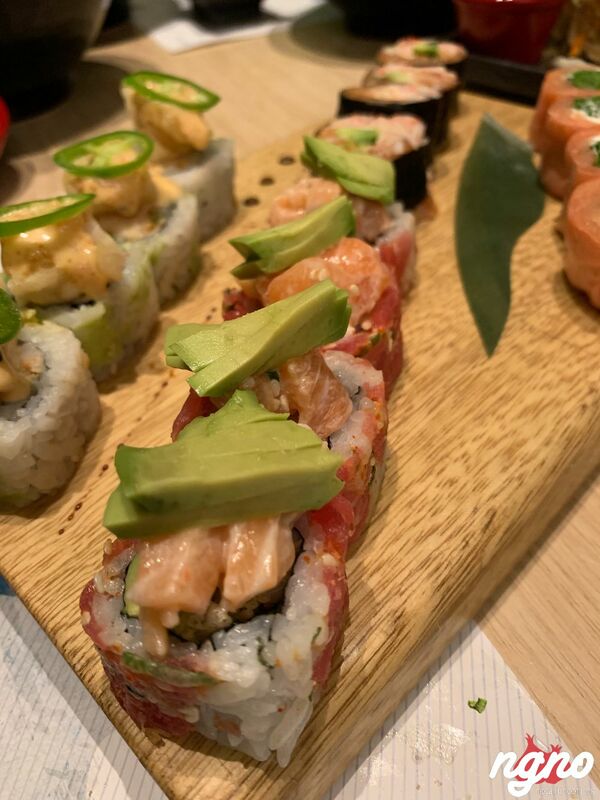 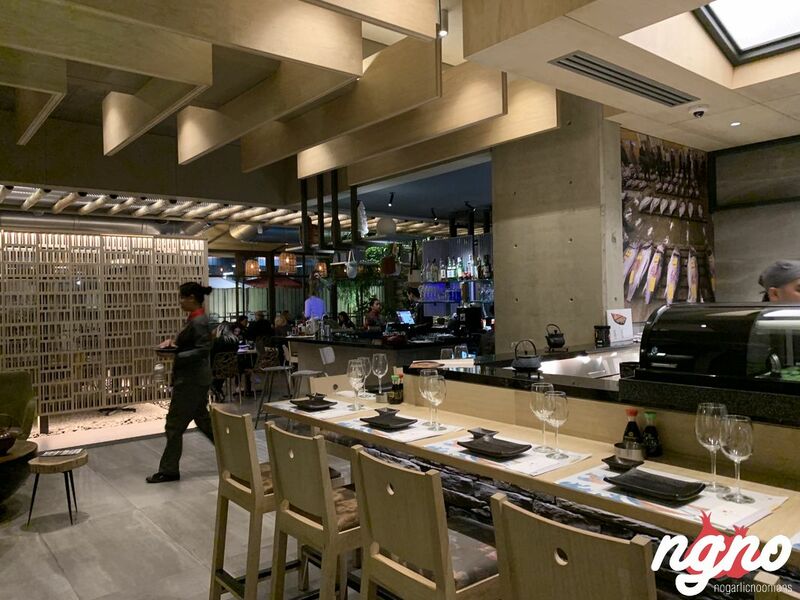 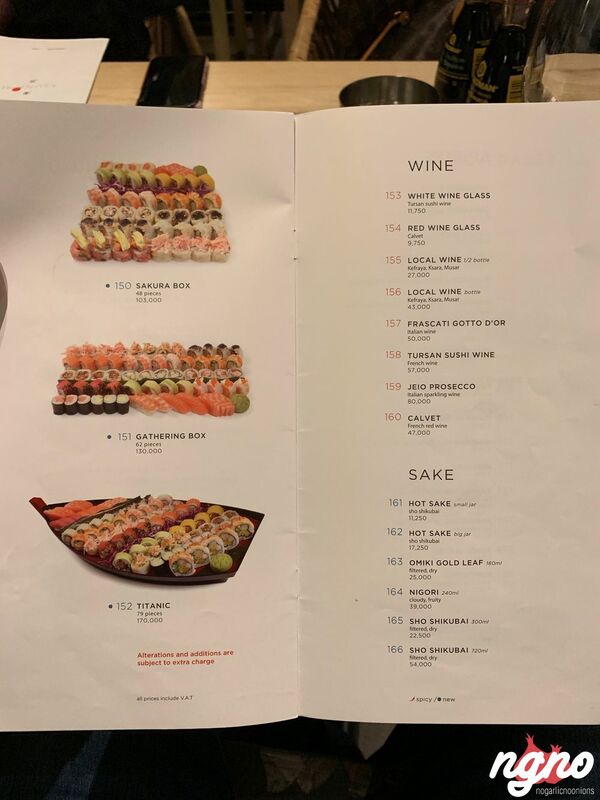 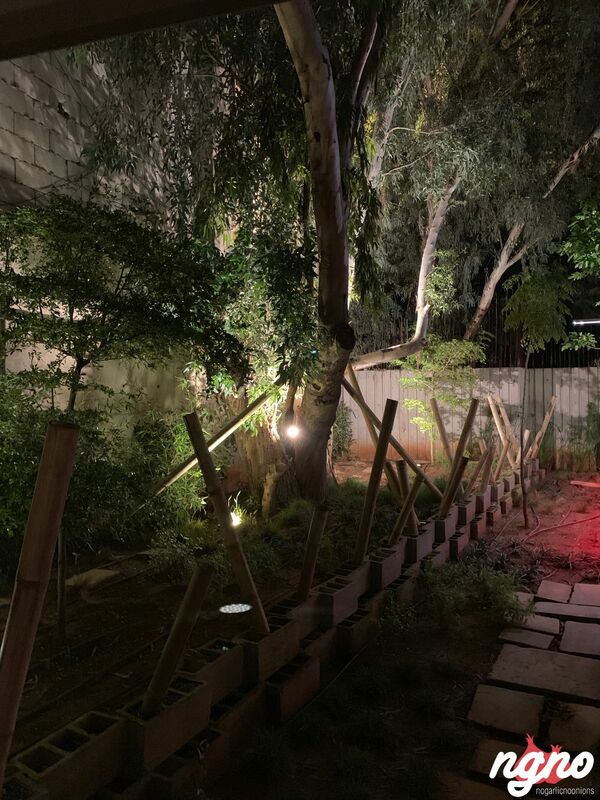 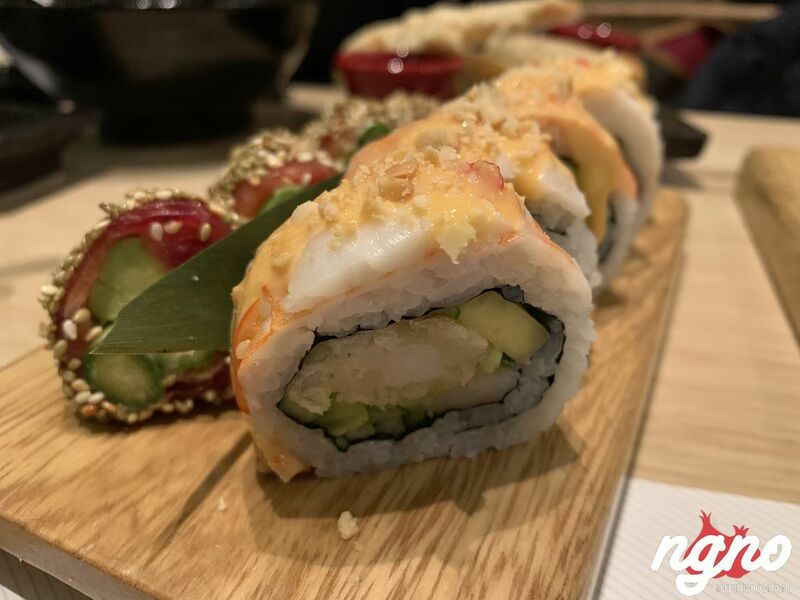 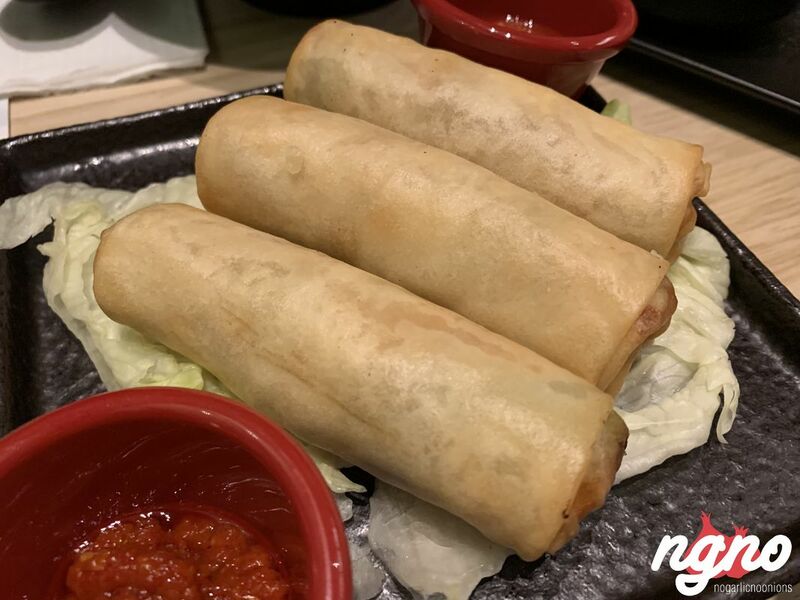 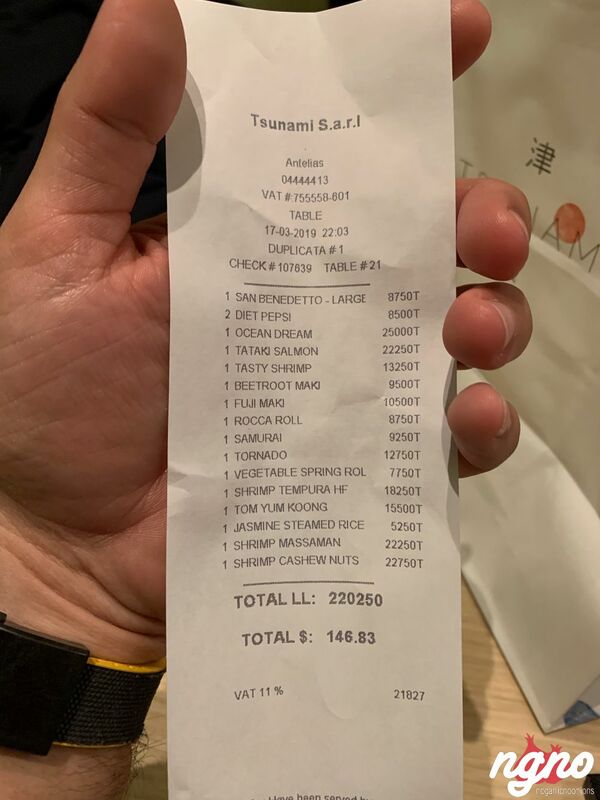 Managed by two Lebanese gentlemen and handled by a group of ladies from the Philippines, Tsunami is your upscale Japanese restaurant speaking the Lebanese language without any complication. 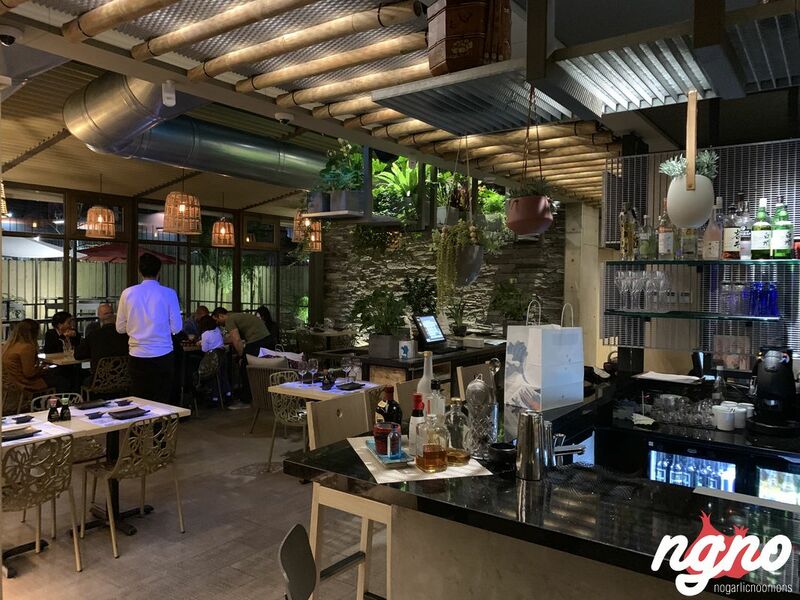 Fresh and positive vibes, a casual ambiance, soothing musical tunes, and relaxing chairs; everything to make you enjoy your time. 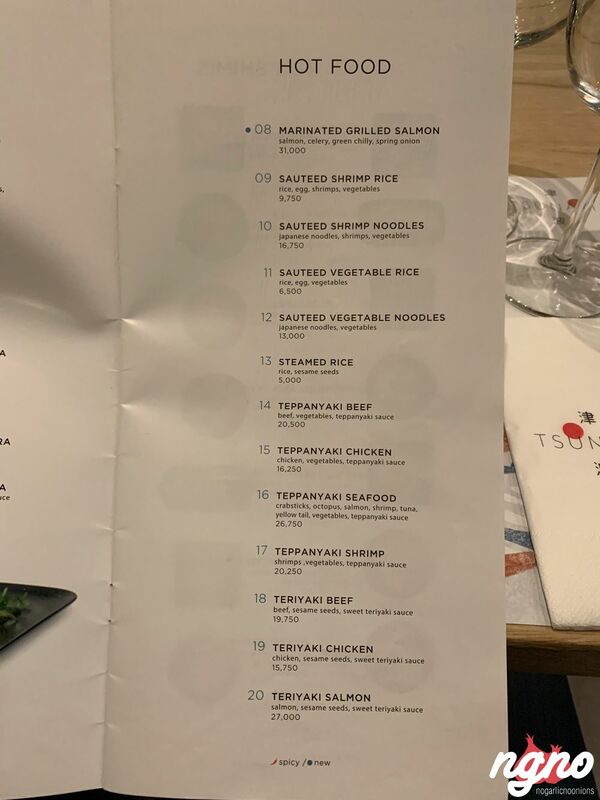 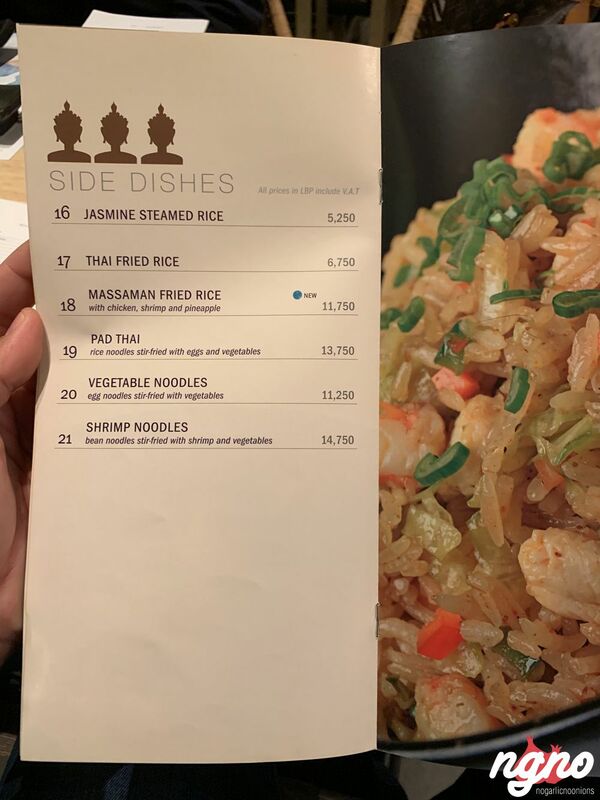 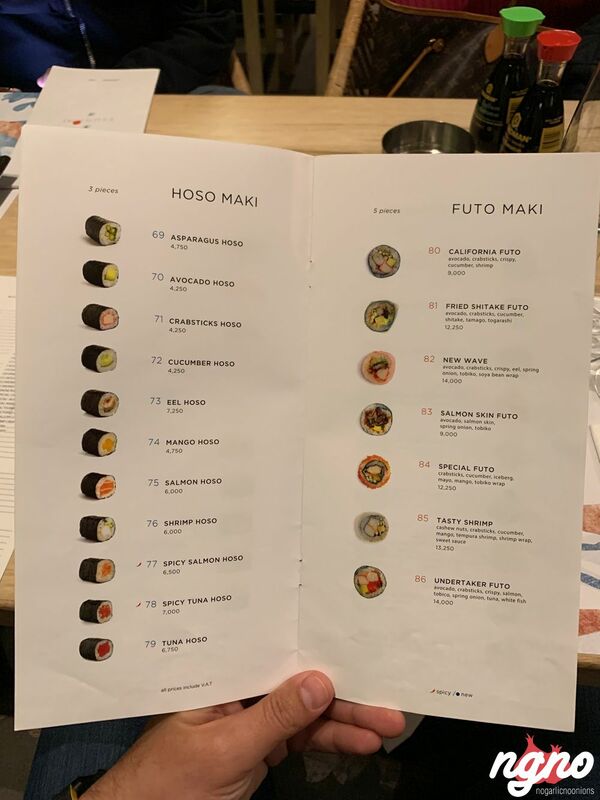 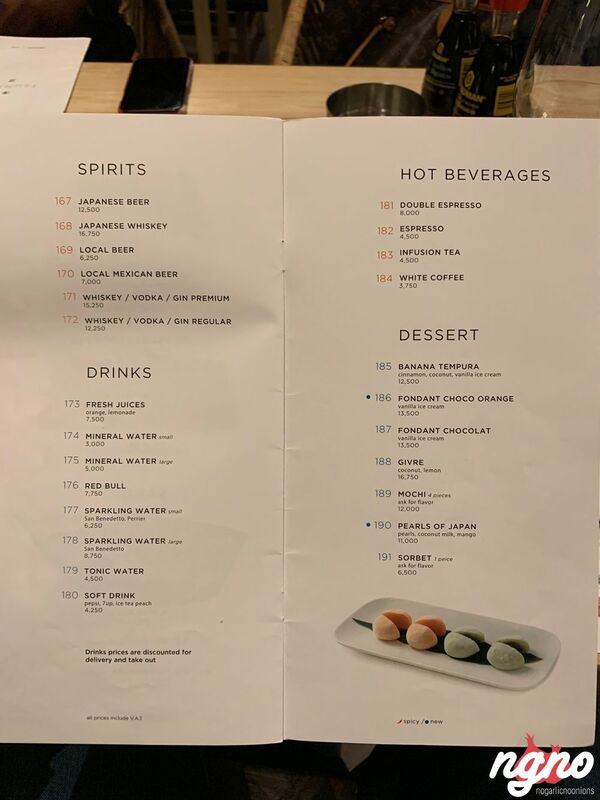 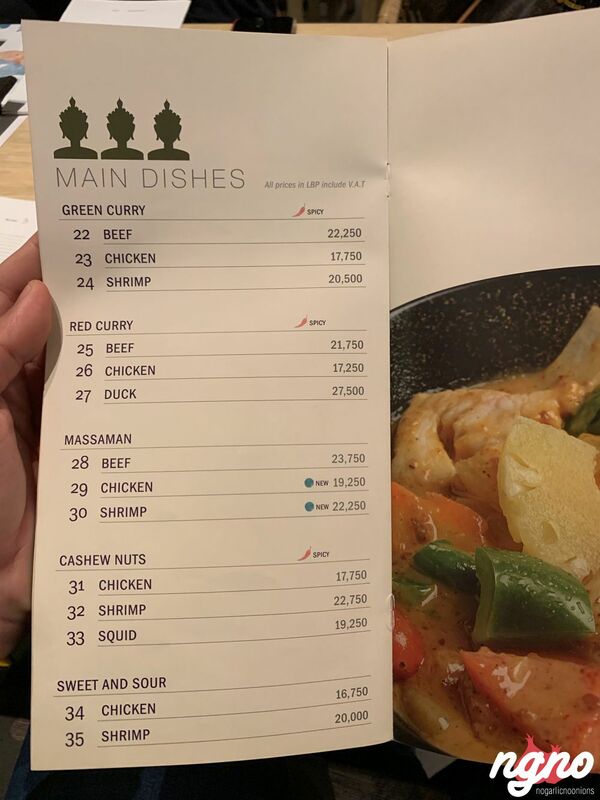 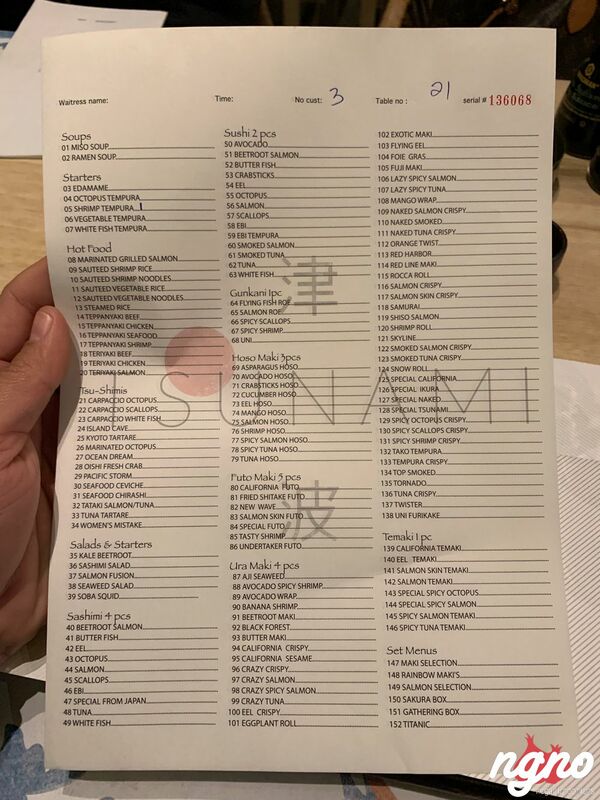 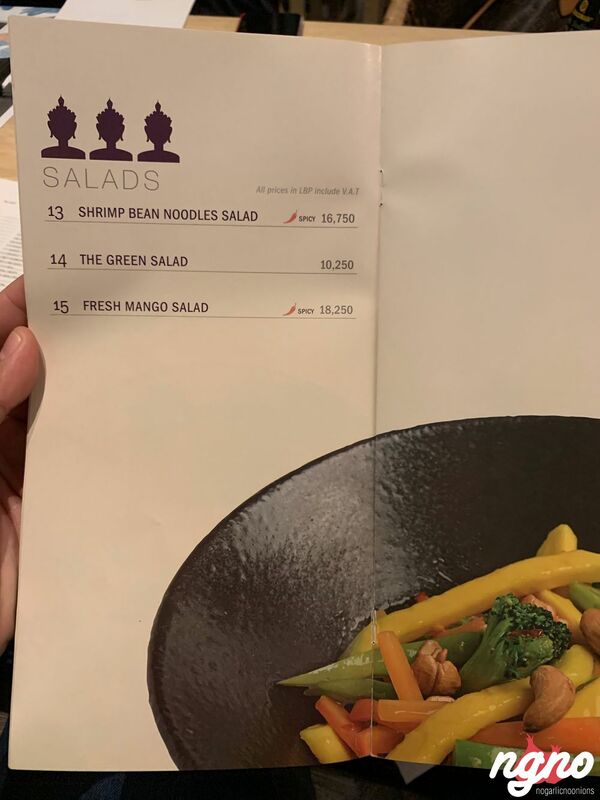 On the menu: Japanese and Thai. 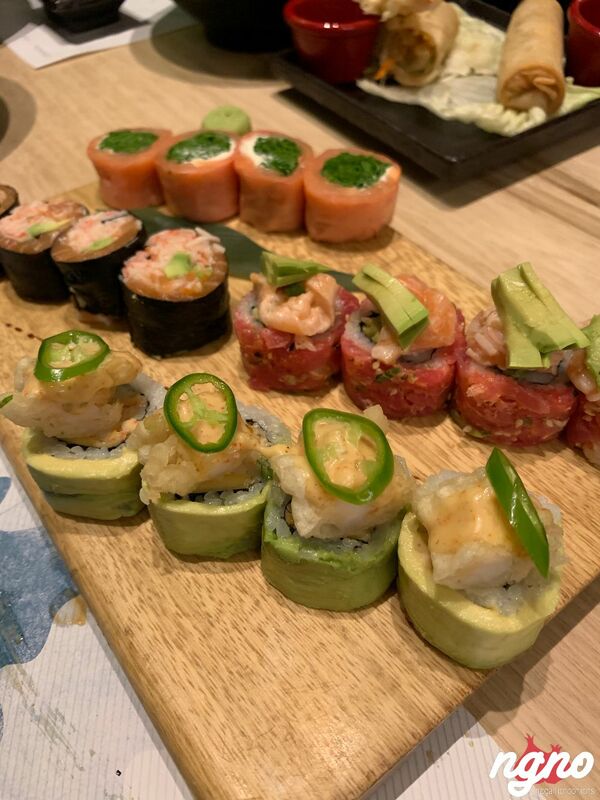 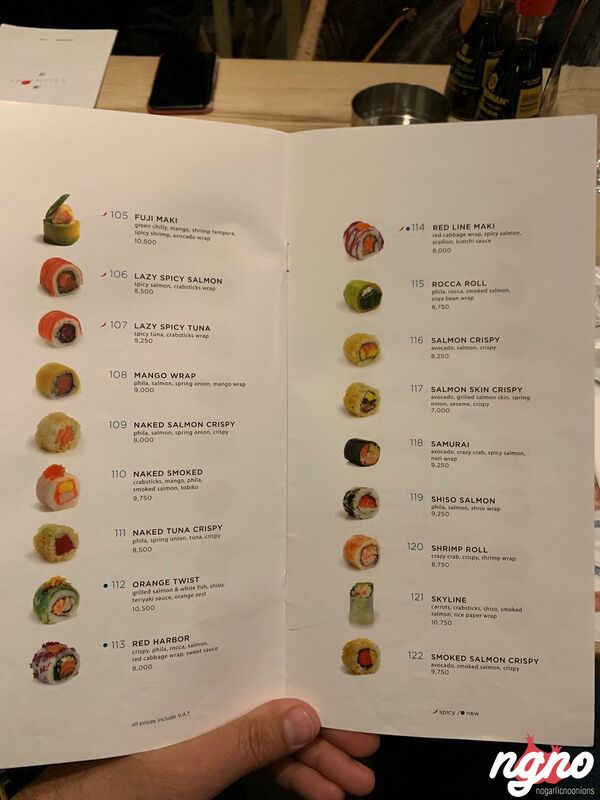 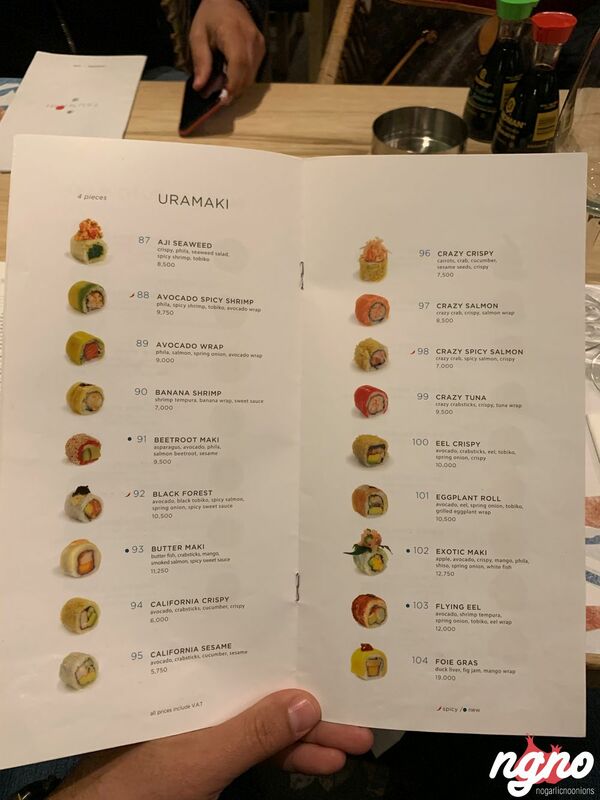 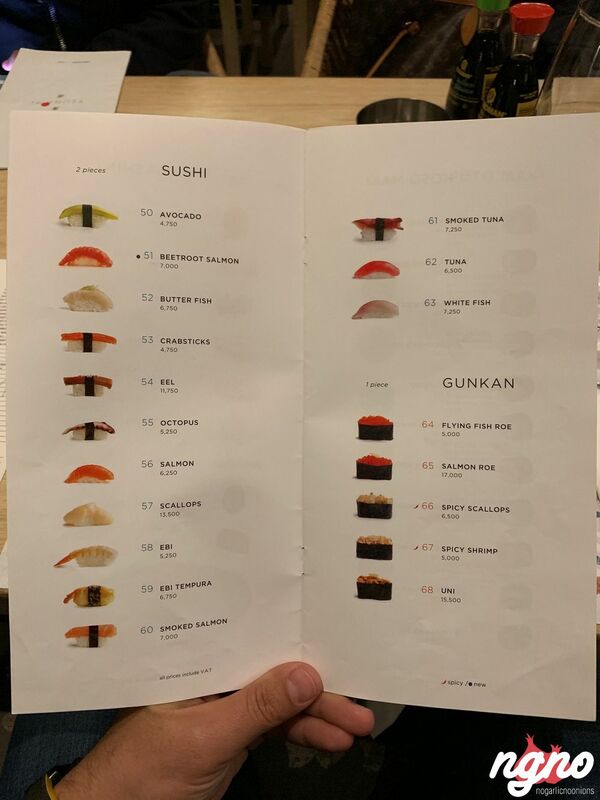 Sushi, and Japanese specialties. 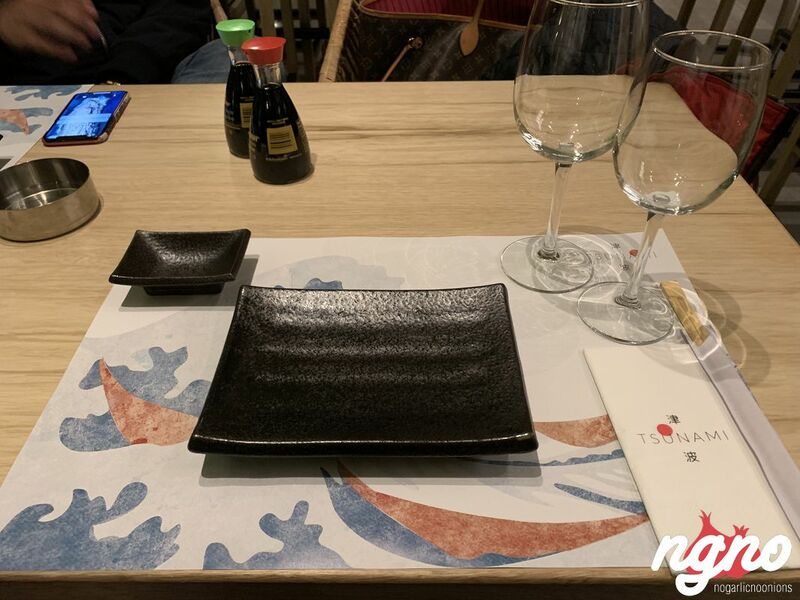 Interesting details, colorful plates, white ginger and most importantly excellent service. 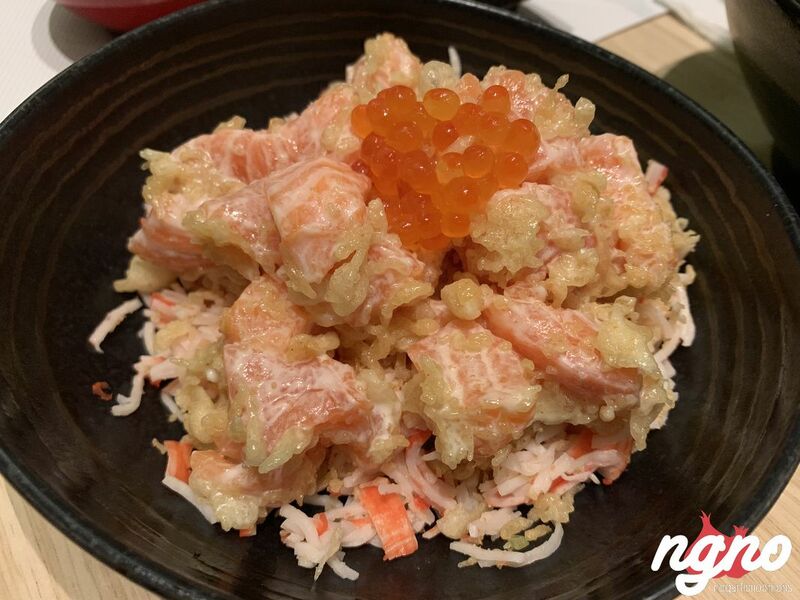 Crispy salmon salad to start made of big sized diced cubes of salmon mixed with crunchy cubes. 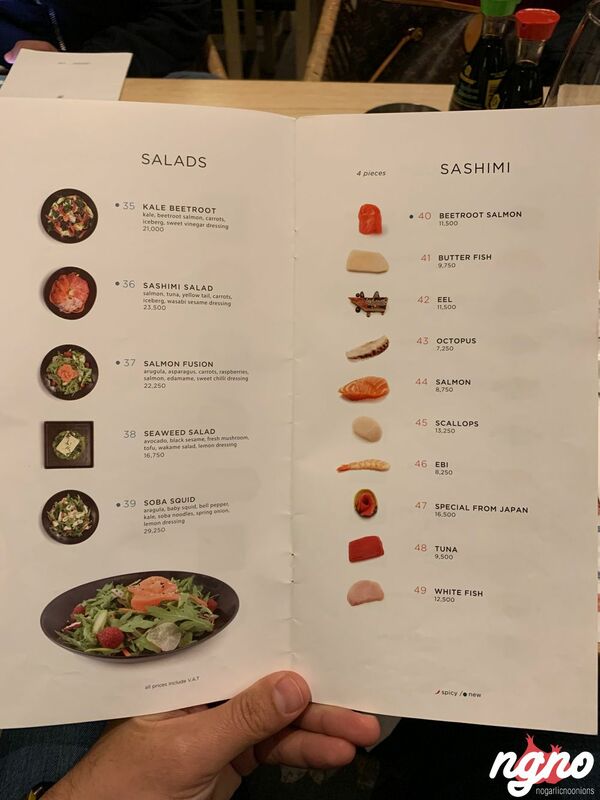 I like it that the salmon is served on crab sticks and not on lettuce; generously loaded plates. 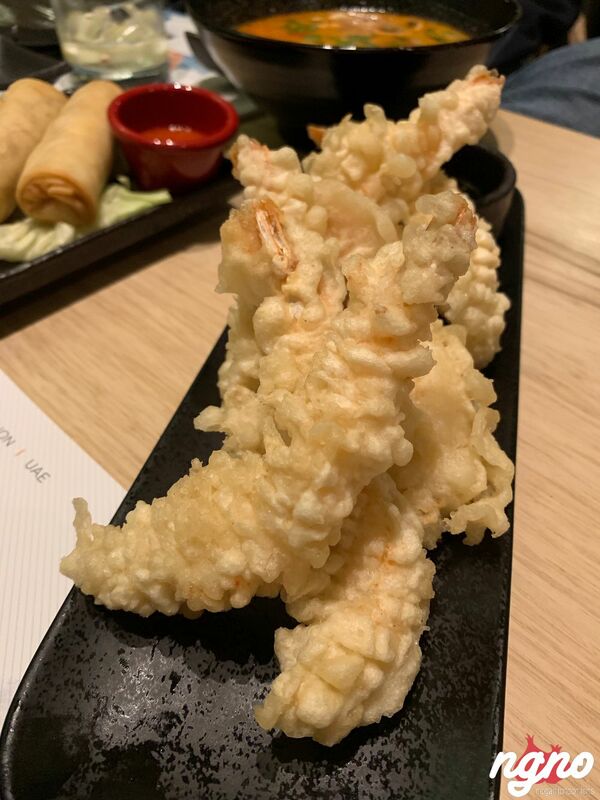 Tempura shrimp with sweet and sour sauce. 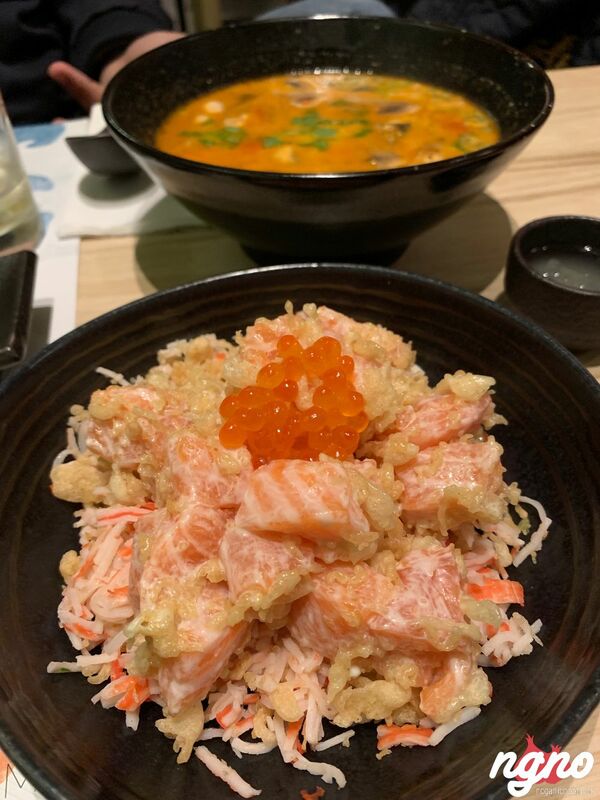 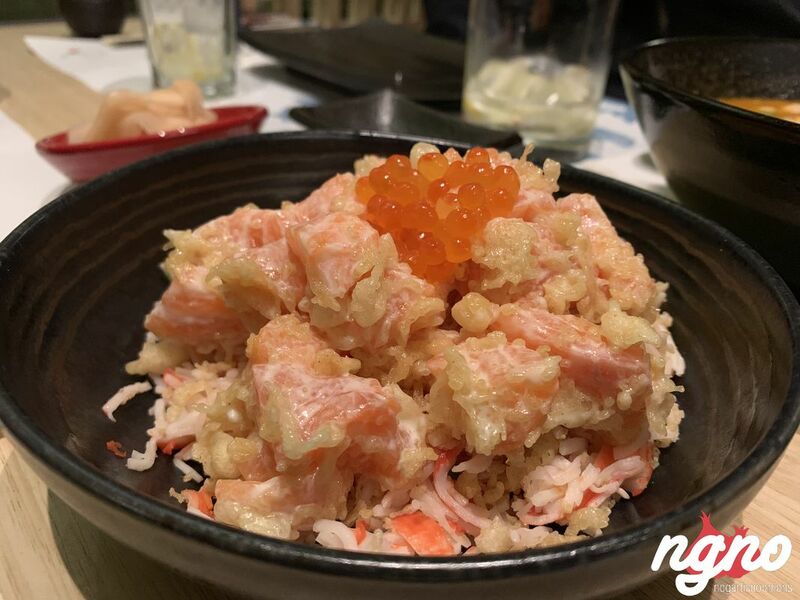 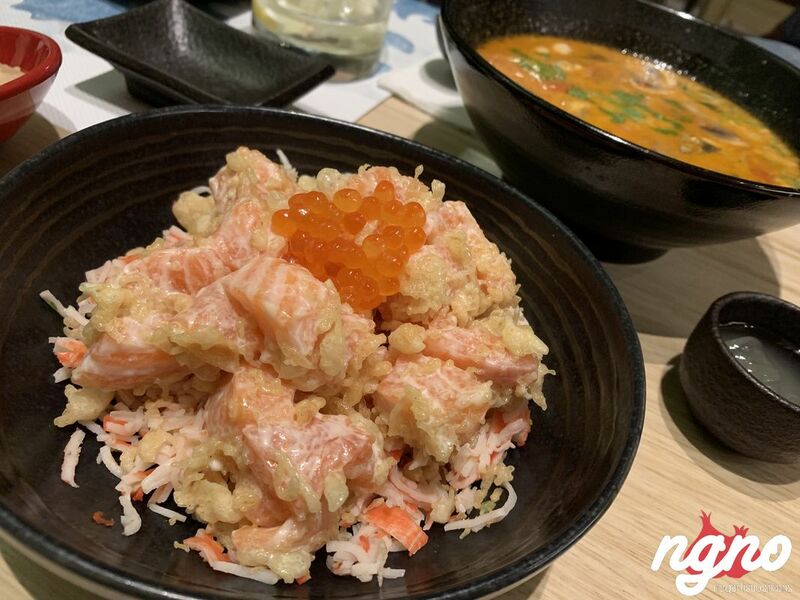 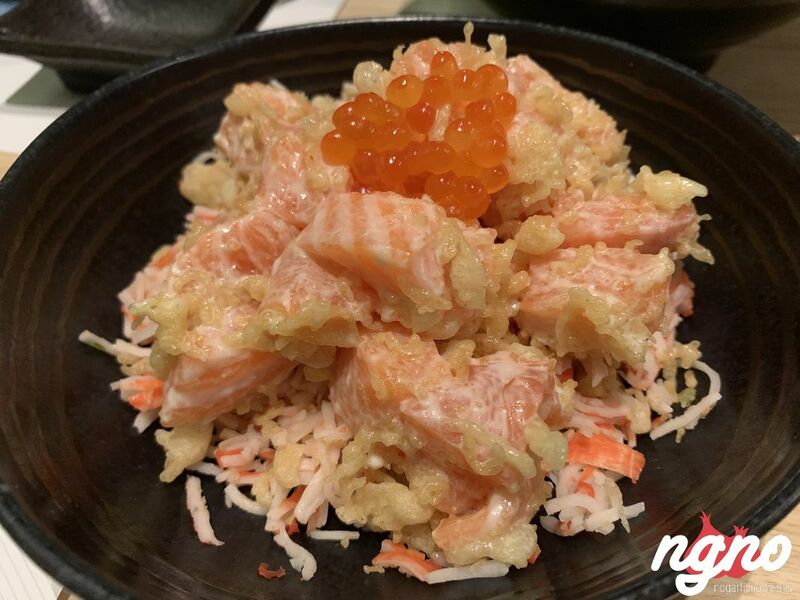 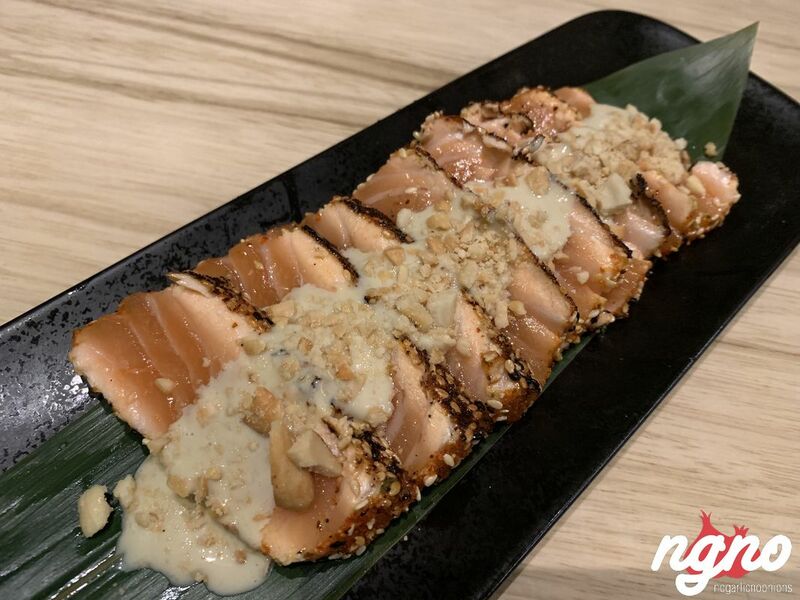 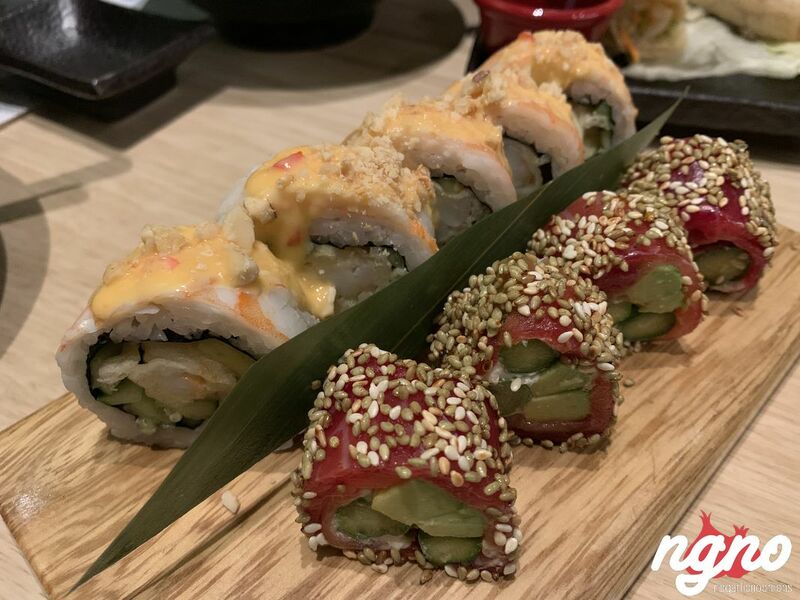 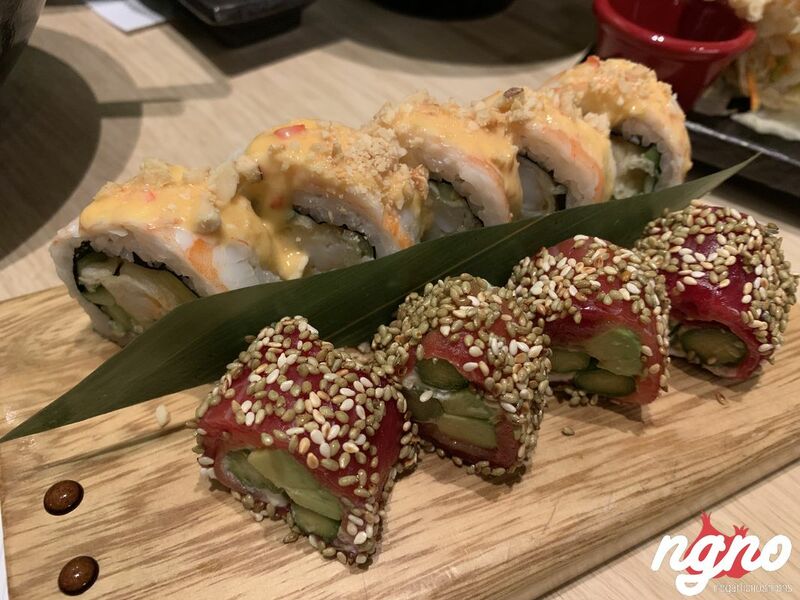 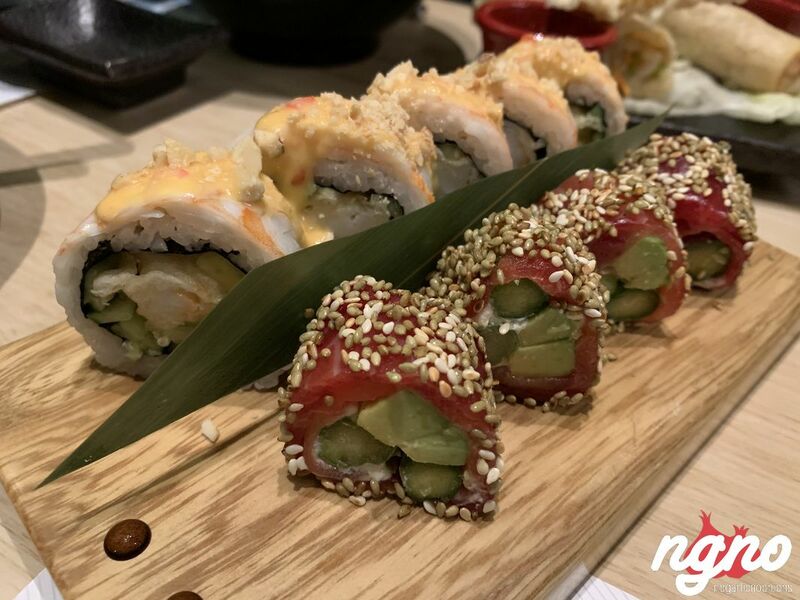 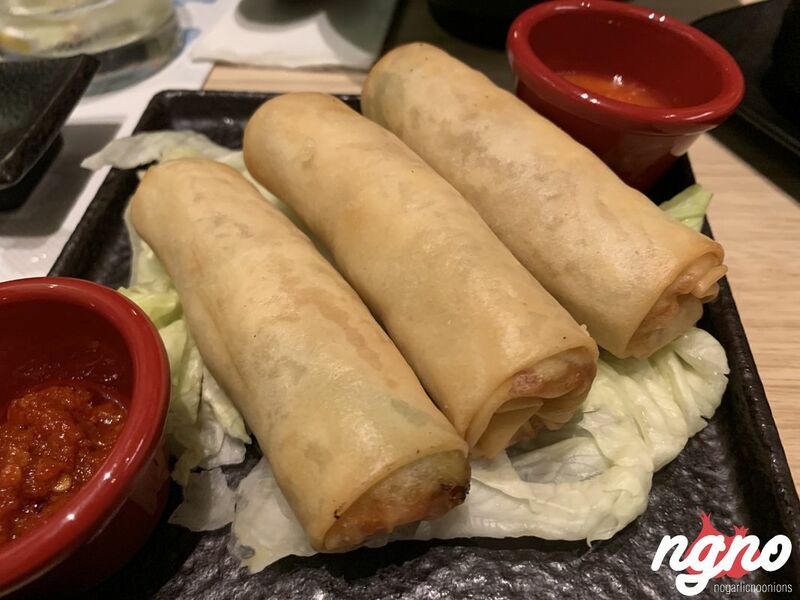 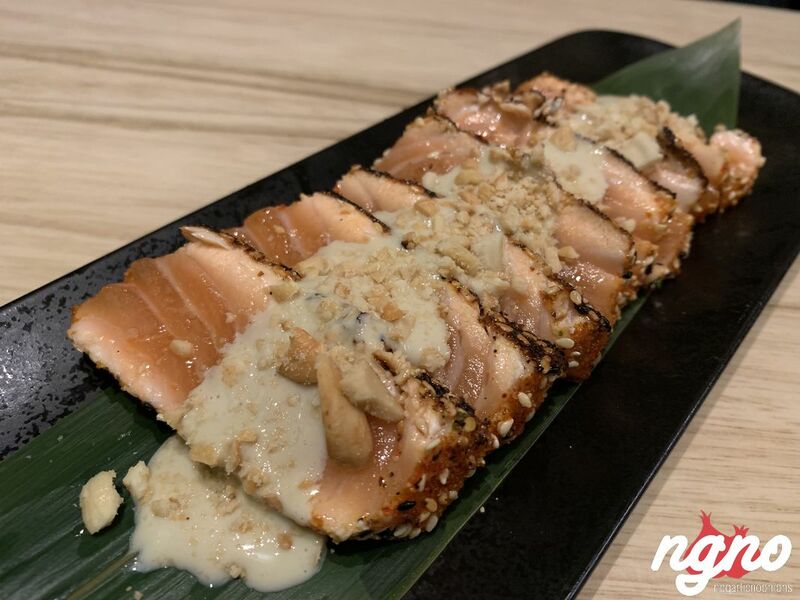 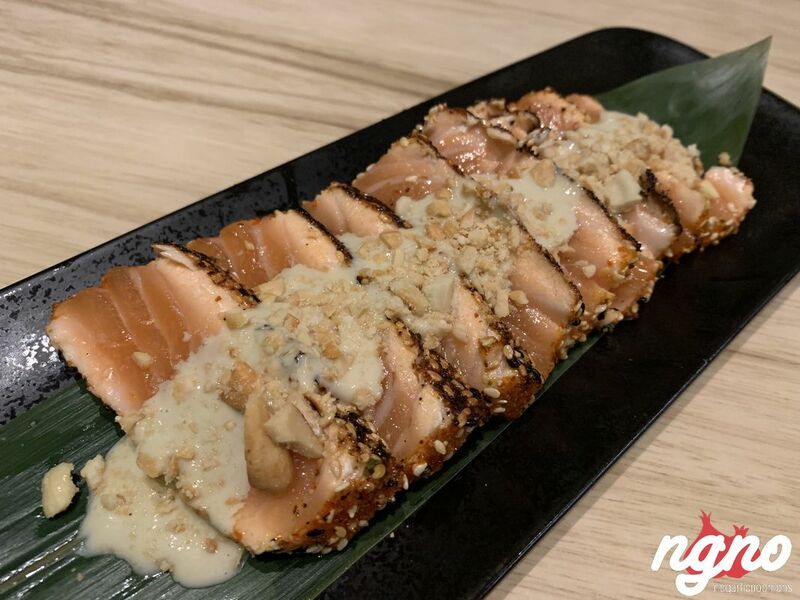 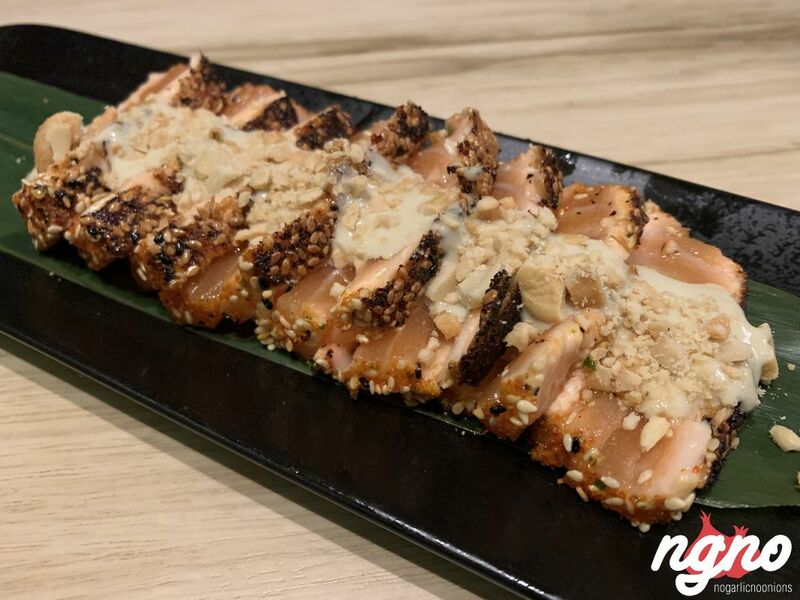 Yummy salmon tataki topped with a spicy sauce and crunchy hazelnuts; salmon melts under the palate, a light crunch then comes a kick of spiciness. 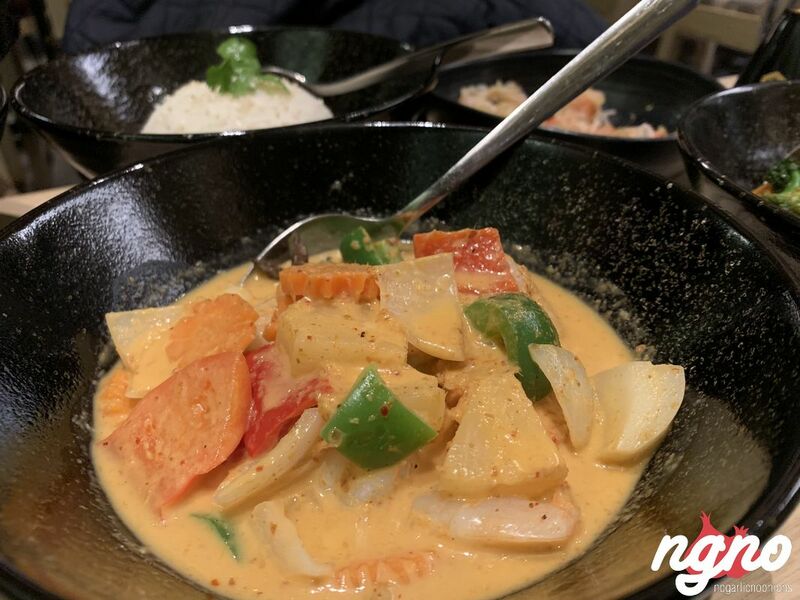 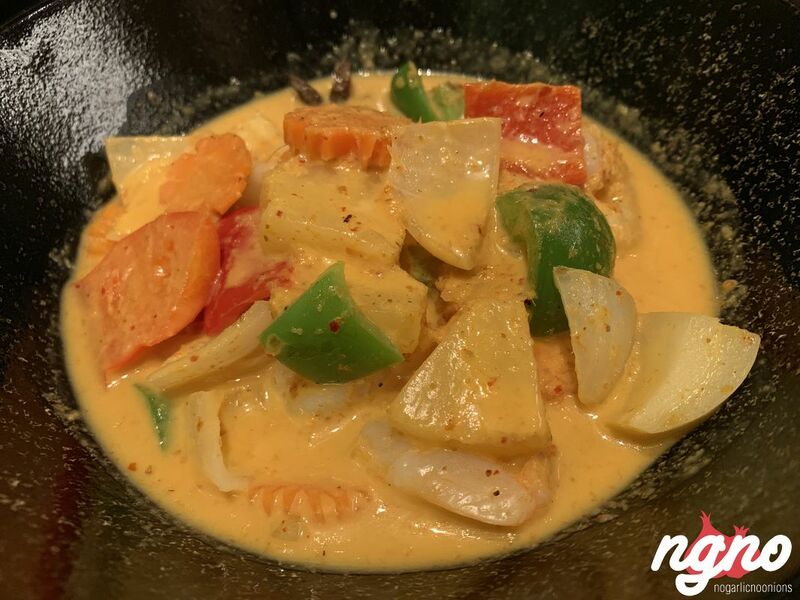 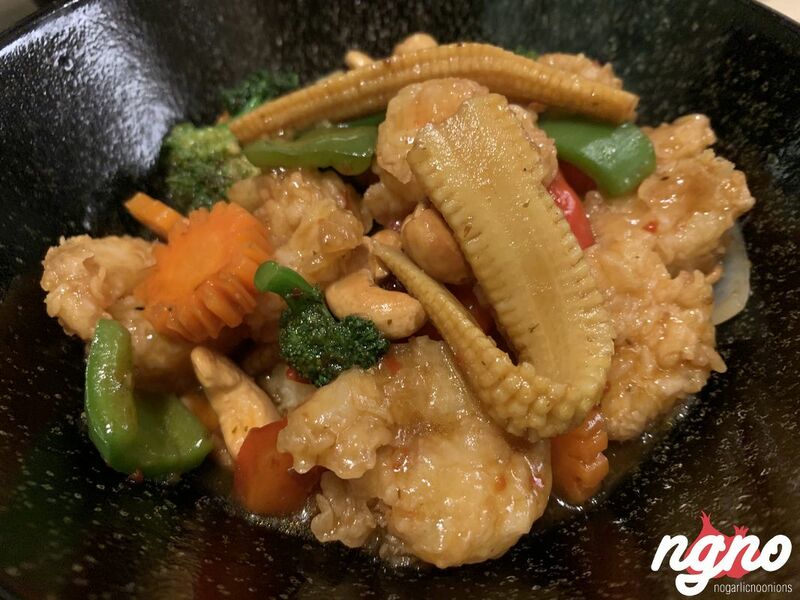 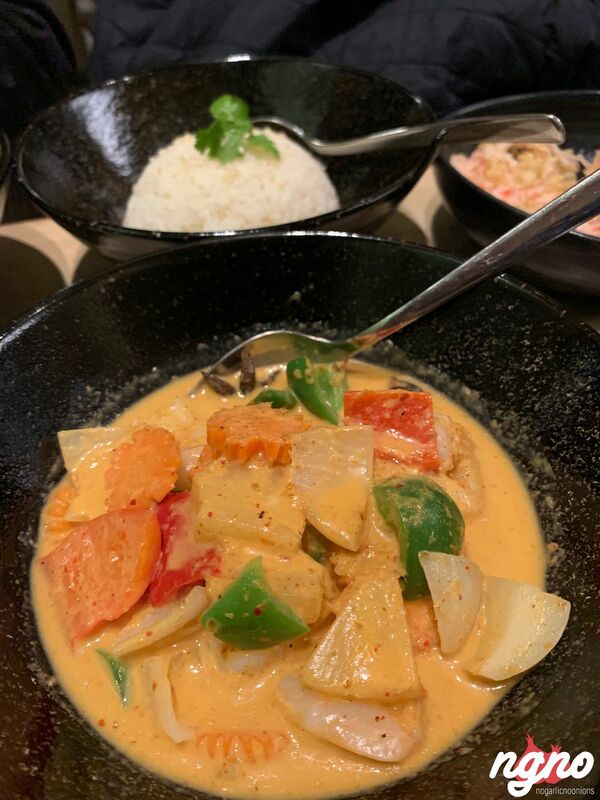 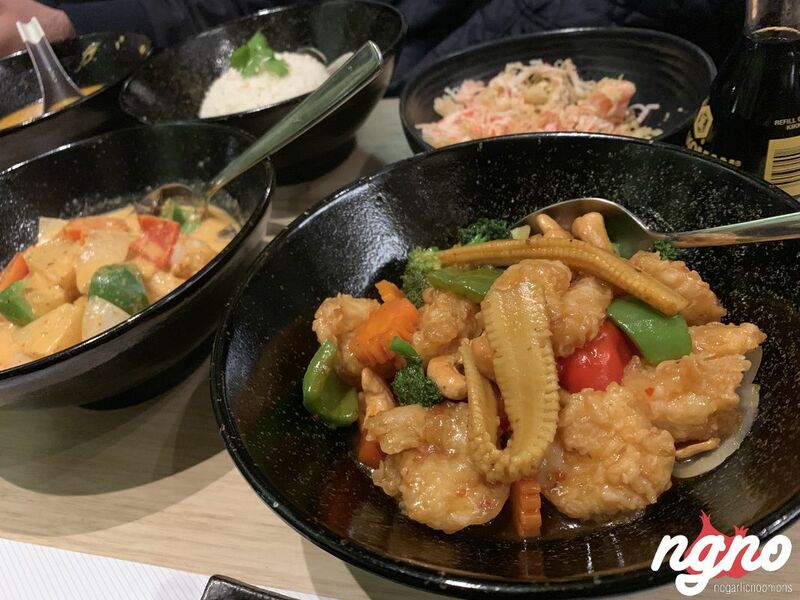 Thai food followed juicy and fresh shrimp, enjoyable steamed rice and steamed vegetable all bathing in a rich sauce. 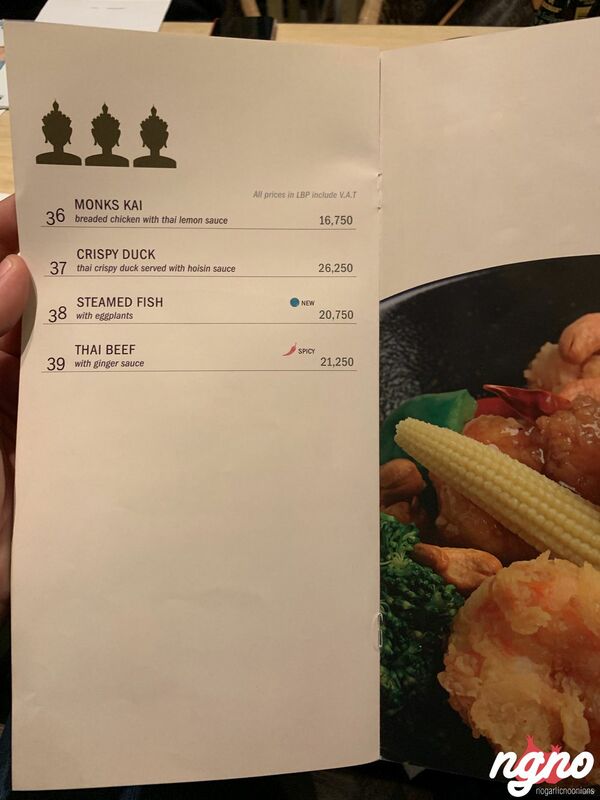 I enjoyed the first part of my dinner. 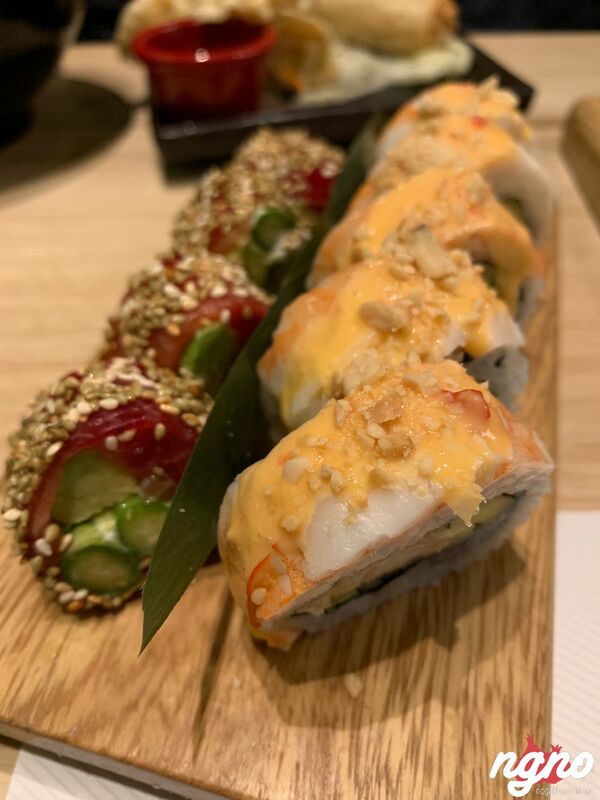 Sushi time: finely rolls maki made with love — two thumbs up for the presentation and for not using the ugly plastic leaves. 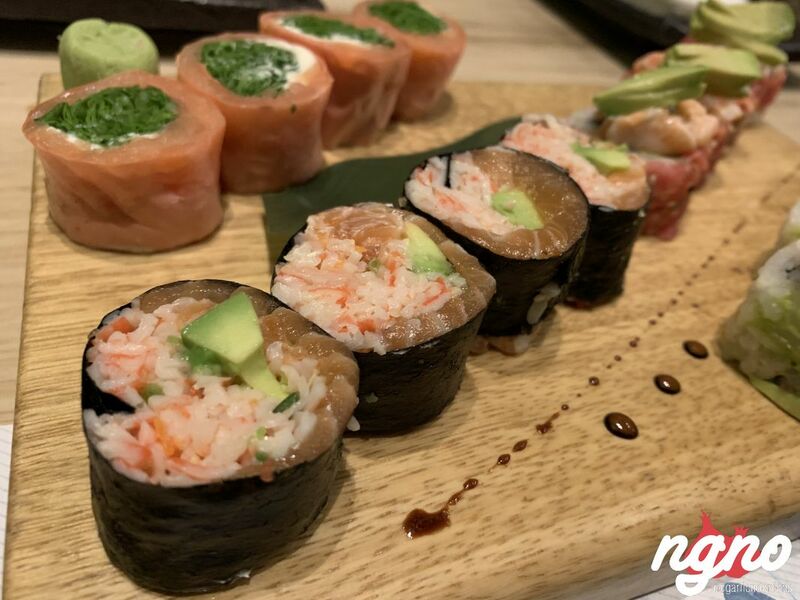 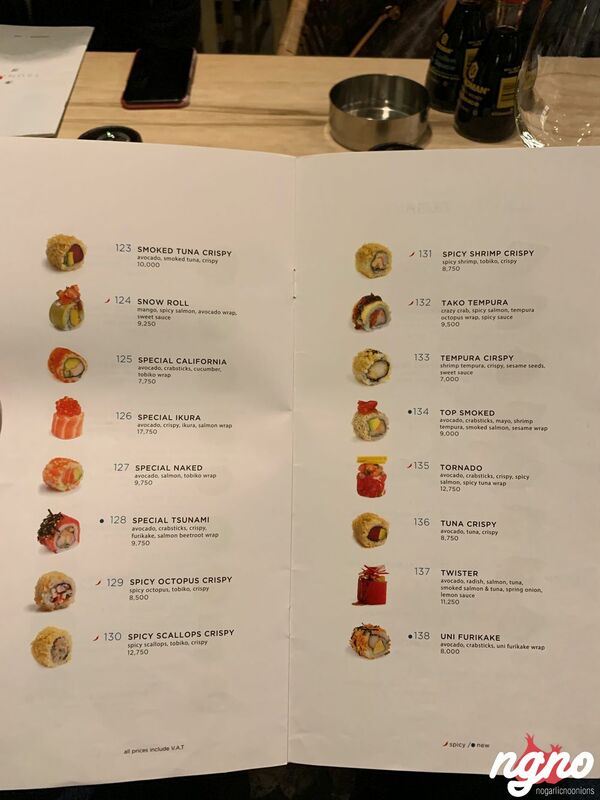 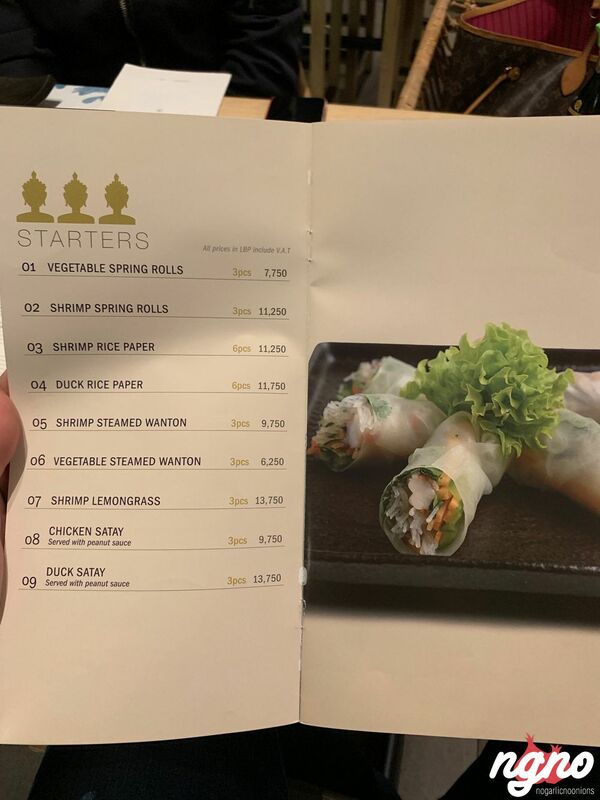 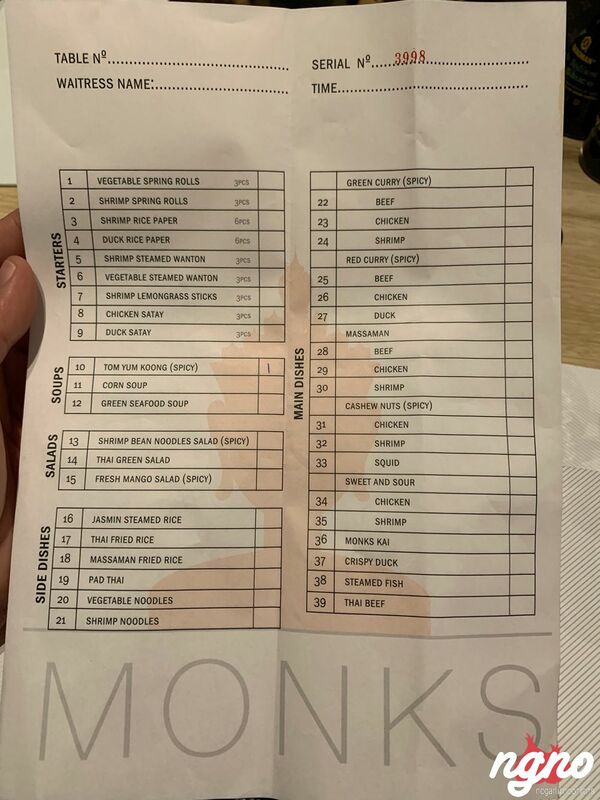 Not sweet, the Maki rolls don’t have an excess of mayonnaise and sauces. 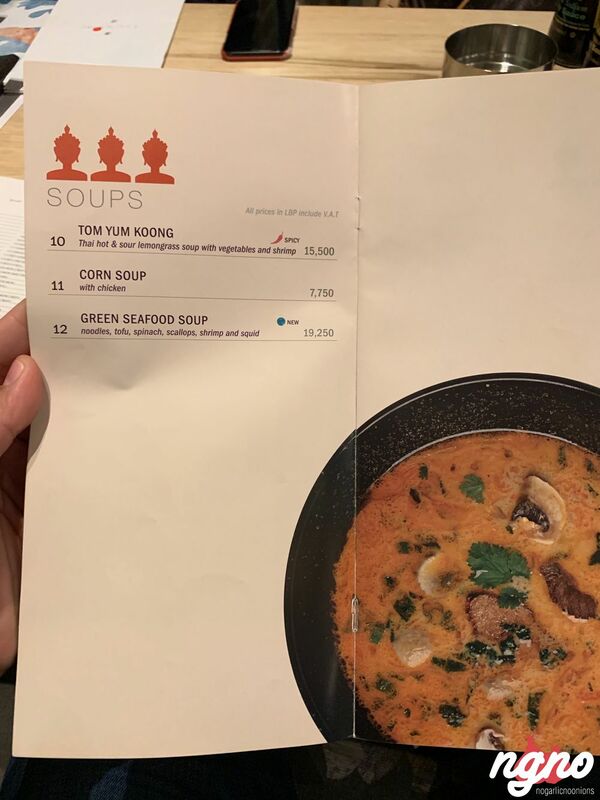 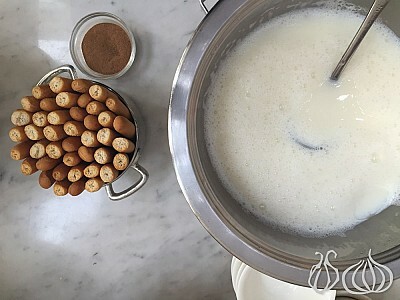 I enjoyed them, their ingredients, constitution, and texture. 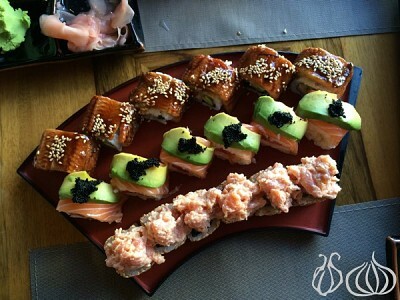 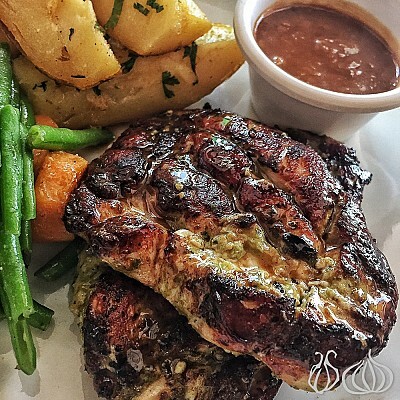 Fresh decor, new menu, wide choices, professional service... 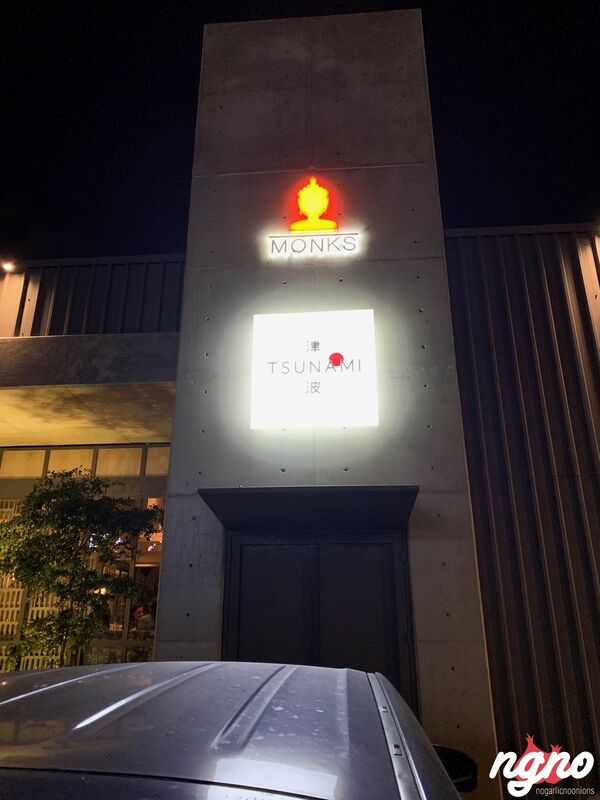 I'll be back and will recommend Tsunami to my friends.